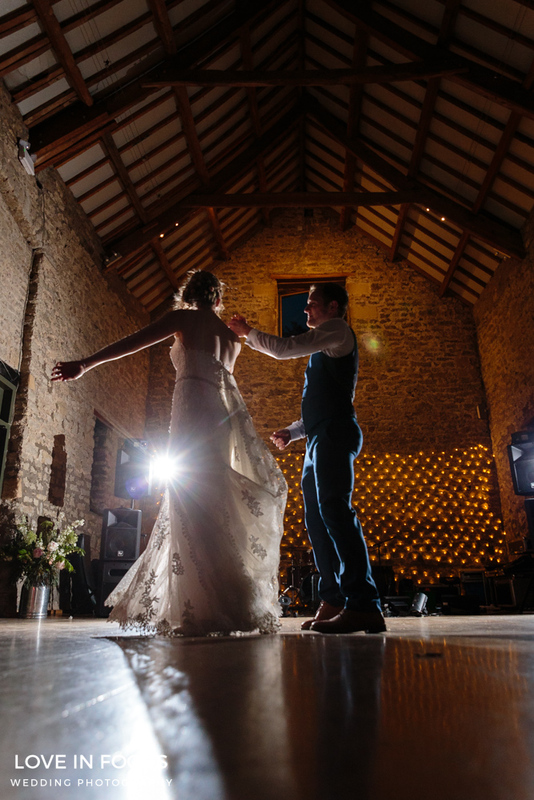 As a Bath wedding photographer I get to shoot at some great venues, one of which is Priston Mill. 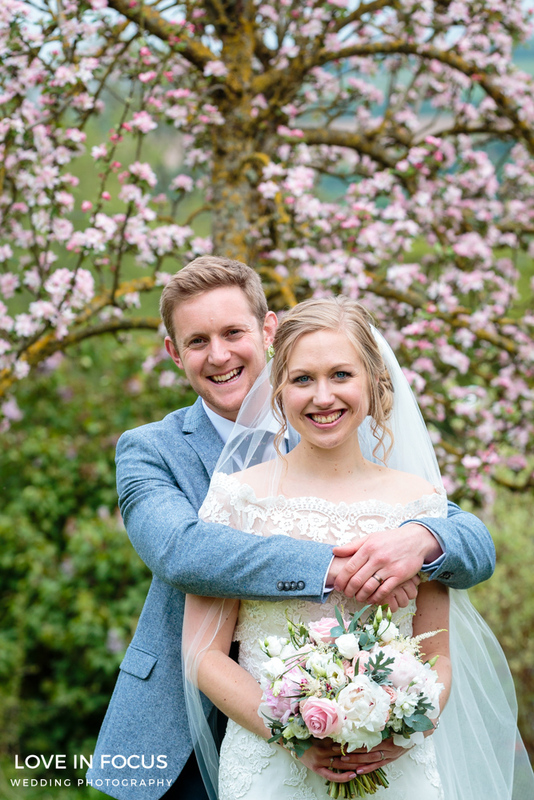 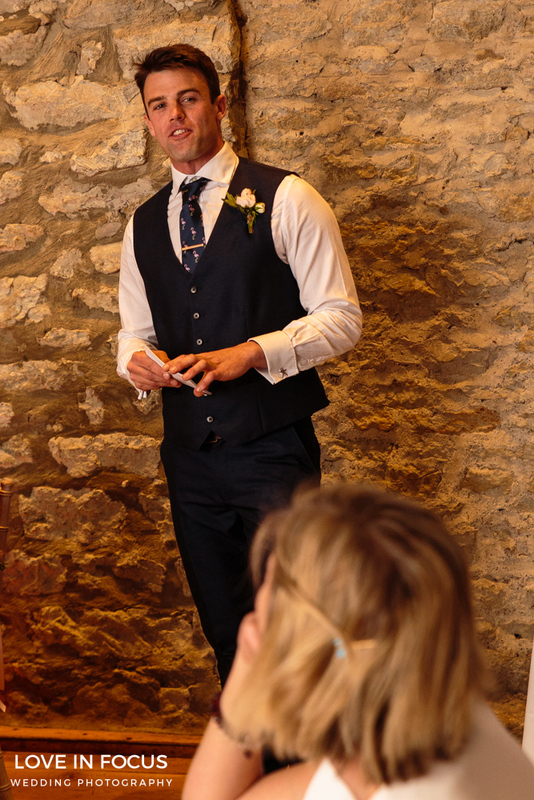 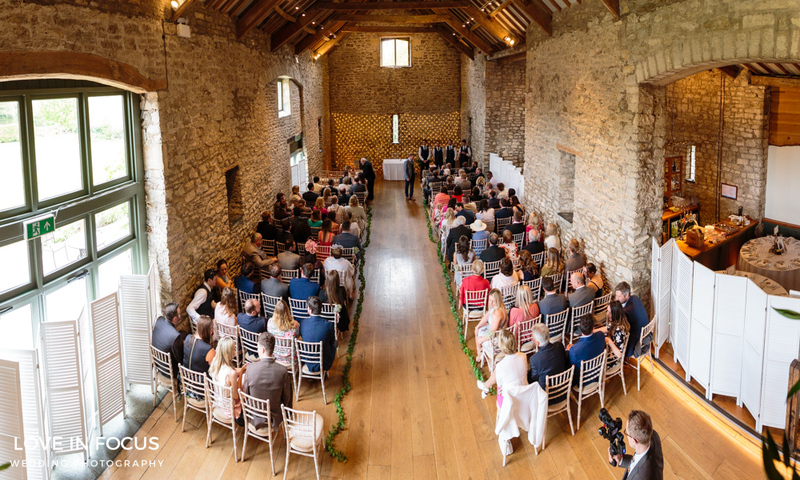 An idyllic location for Somerset weddings nestled within a countryside and rural setting. 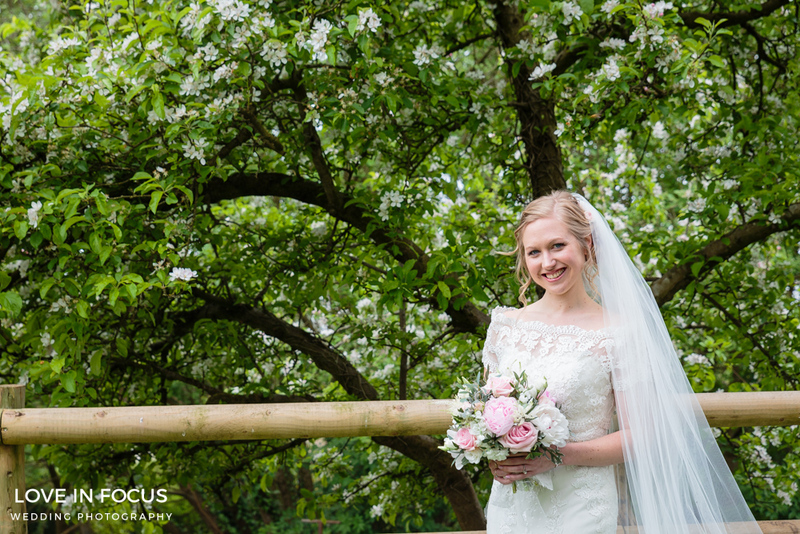 But enough of wedding photography at Priston Mill for now. 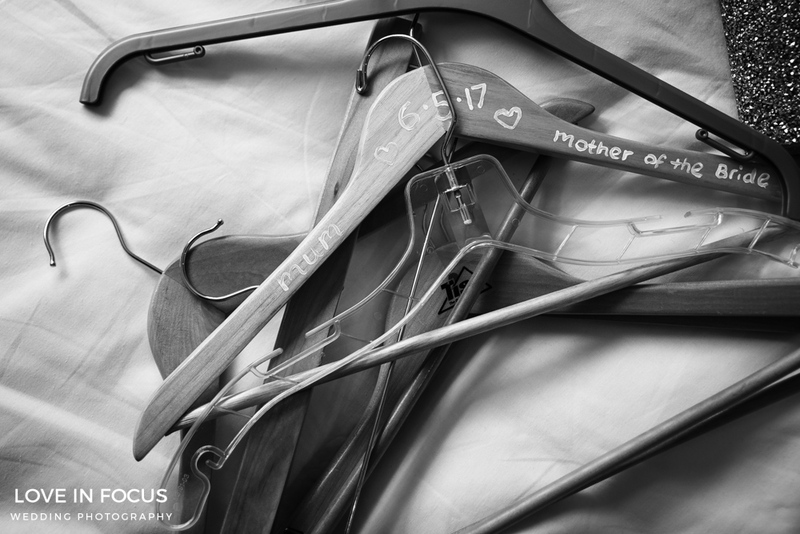 I’ll get back to that, let’s start at the beginning. 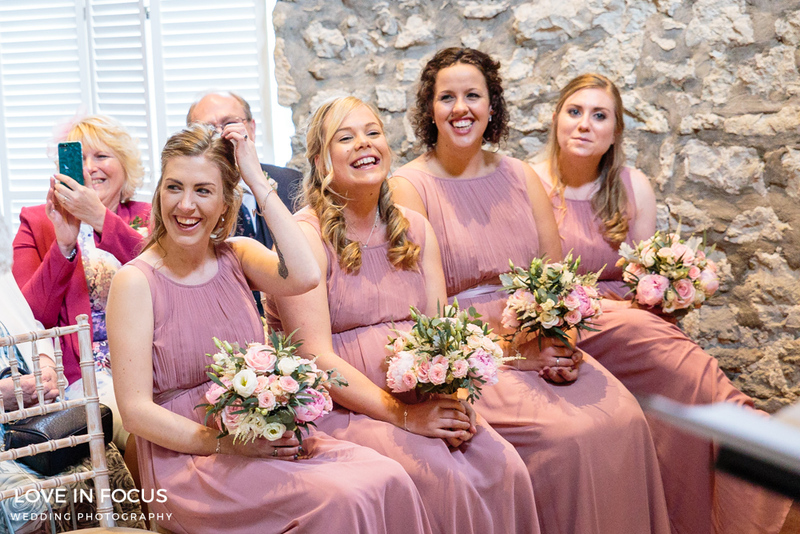 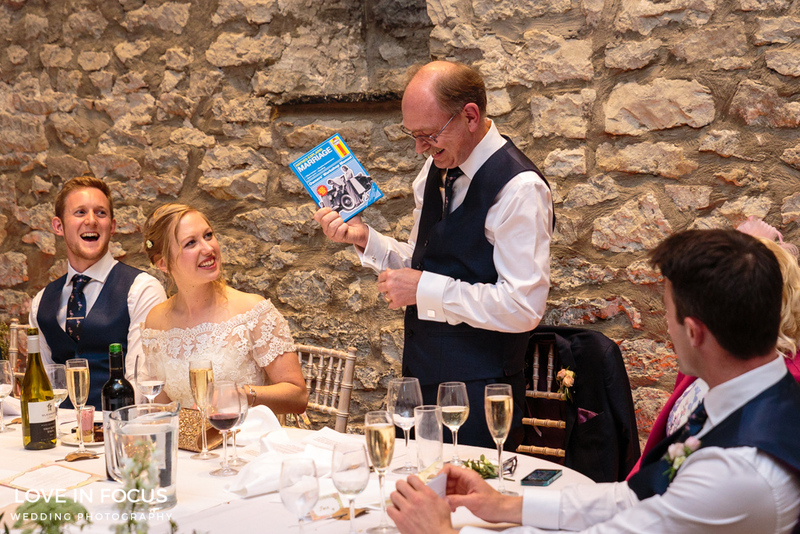 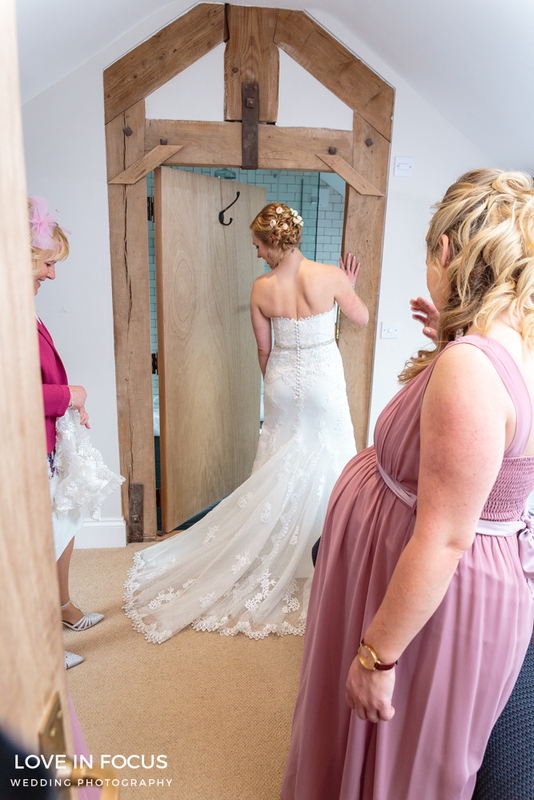 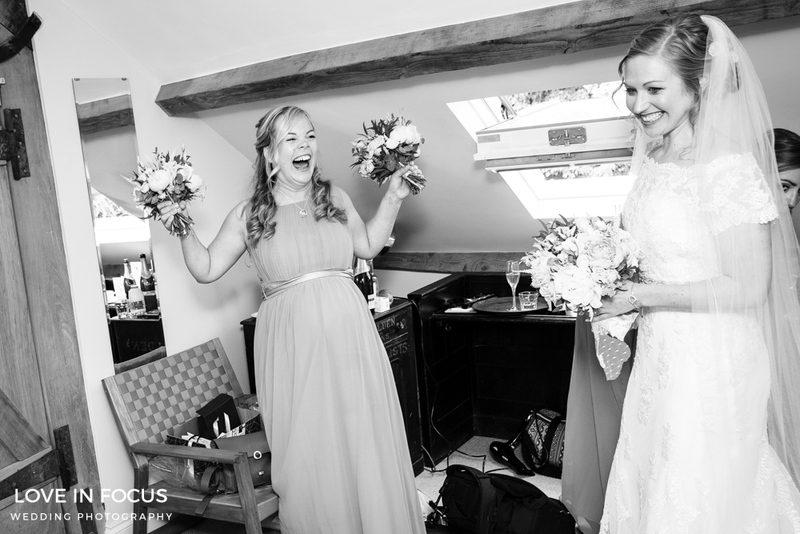 On the day I met up with Karen at the Redan Inn at the nearby village of Chilcompton where she was getting ready with her mum and her four bridesmaids, though strictly speaking the bridesmaids totalled seven people as three of them were pregnant. 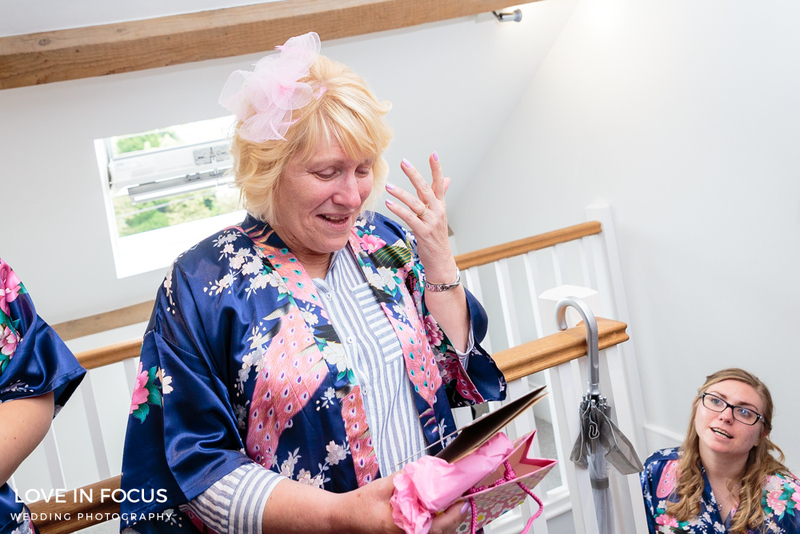 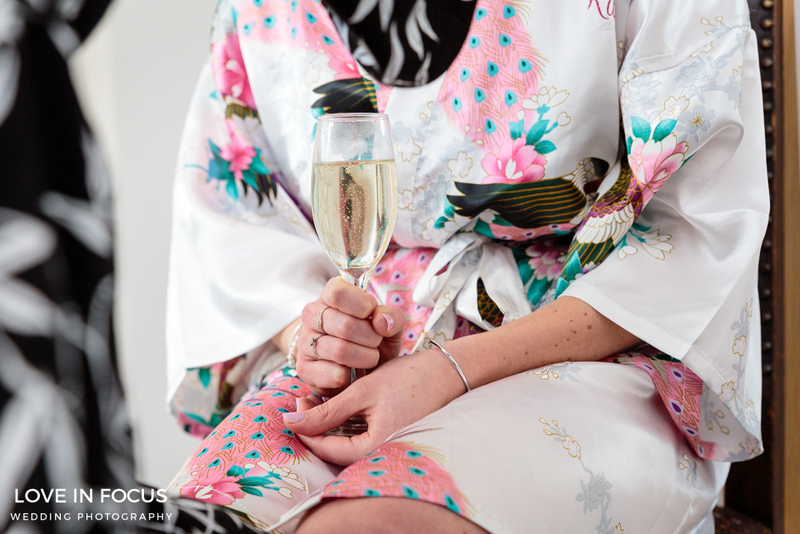 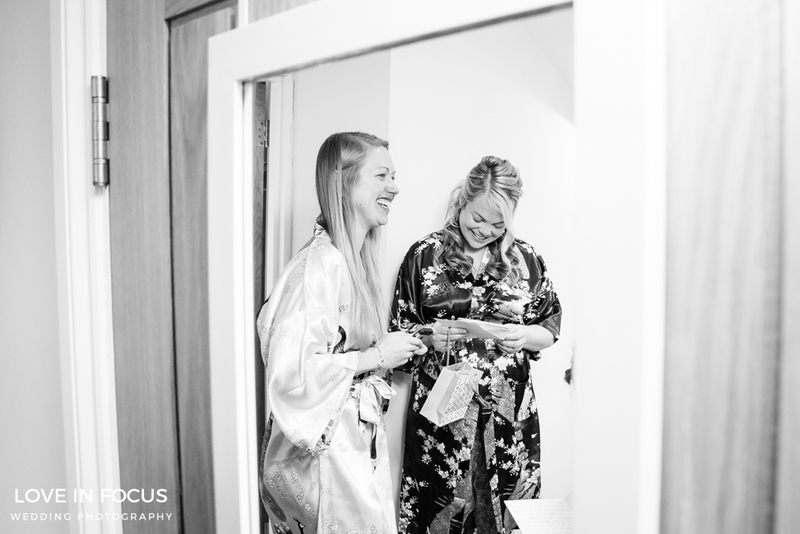 High spirits, matching Kimono style robes and a tiny bit of bubbly saw that the party had definitely started early for the girls! 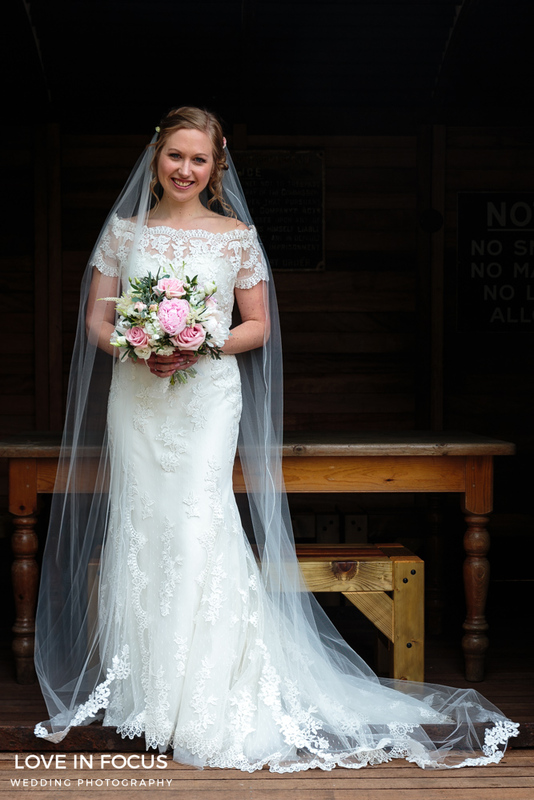 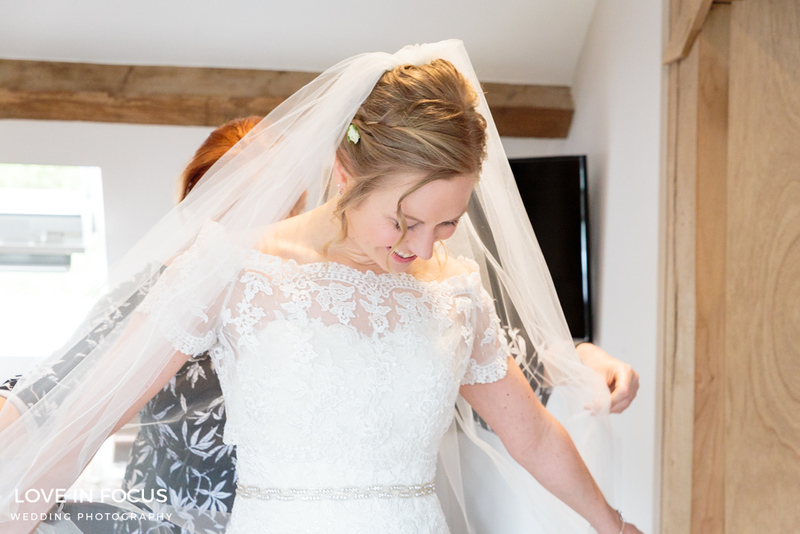 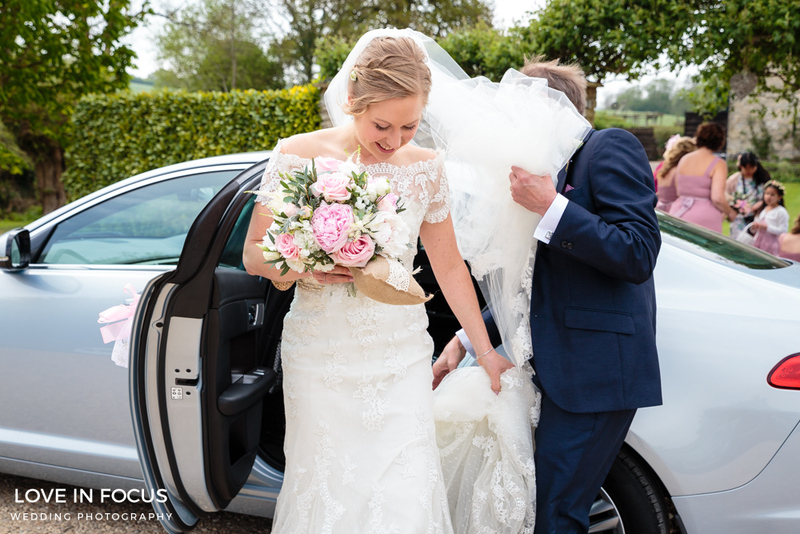 Karen looked beautiful in her lace detail dress with a gorgeous off the shoulder style and full veil. 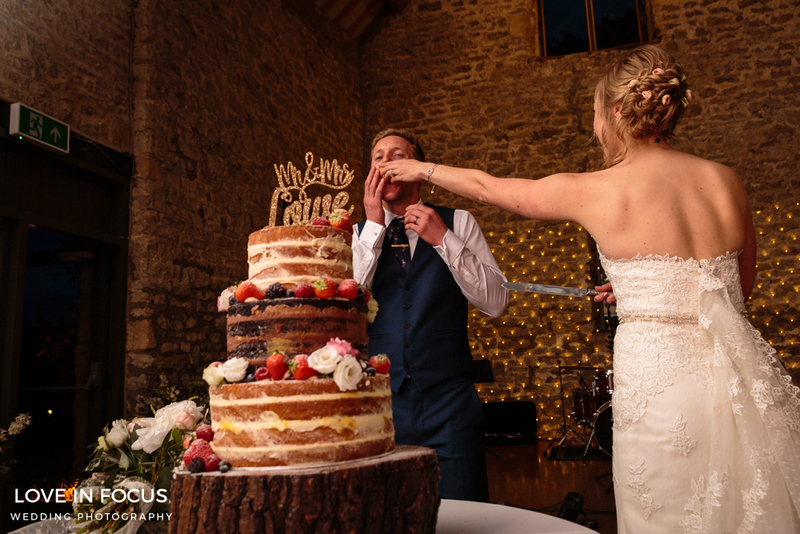 The evening reception started with the cutting of the cake (which looked amazing!) 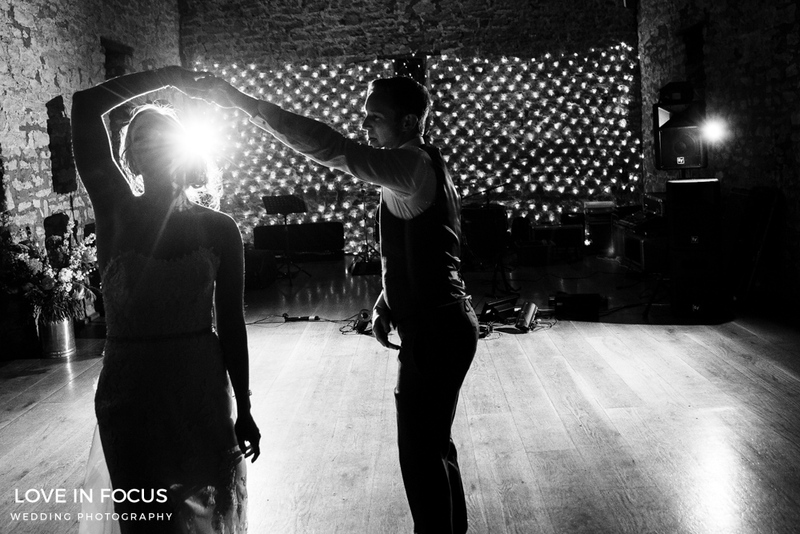 before a very romantic first dance that wowed all of Karen and Joe’s guests and it wasn’t long before the dance floor was full. 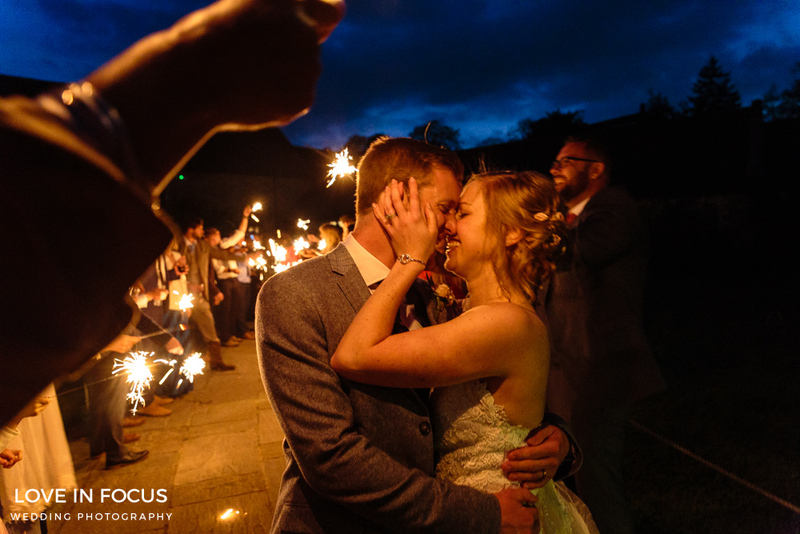 As the sunset we went outside for a romantic sparkler exit set against the evening sky. 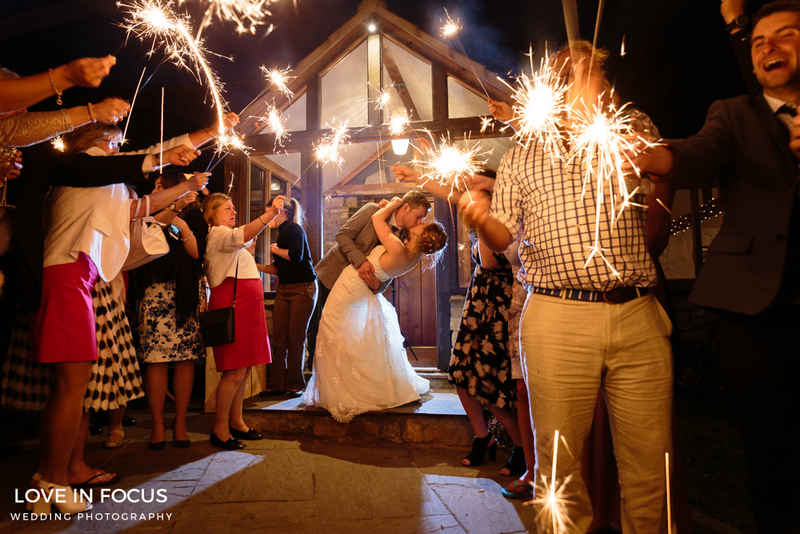 It was a fun and romantic moment and seeing Karen and Joe embrace with all their happy guests waving sparklers seemed the perfect shot to close the story of their day. 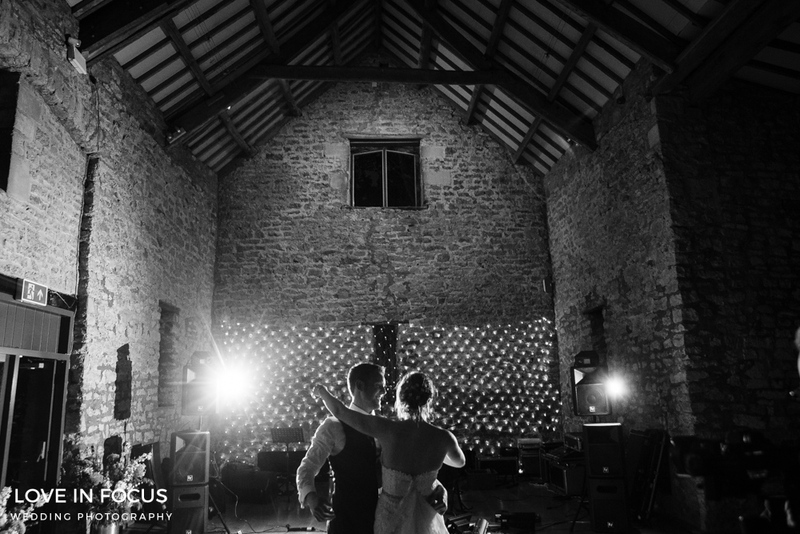 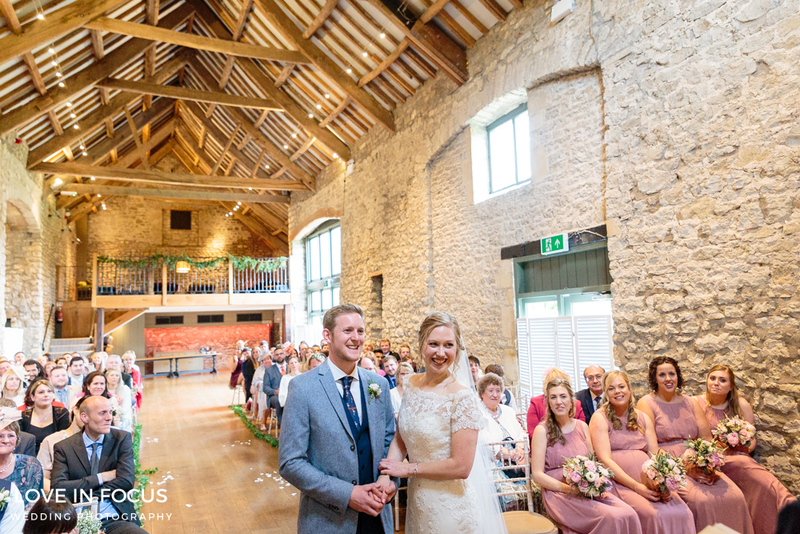 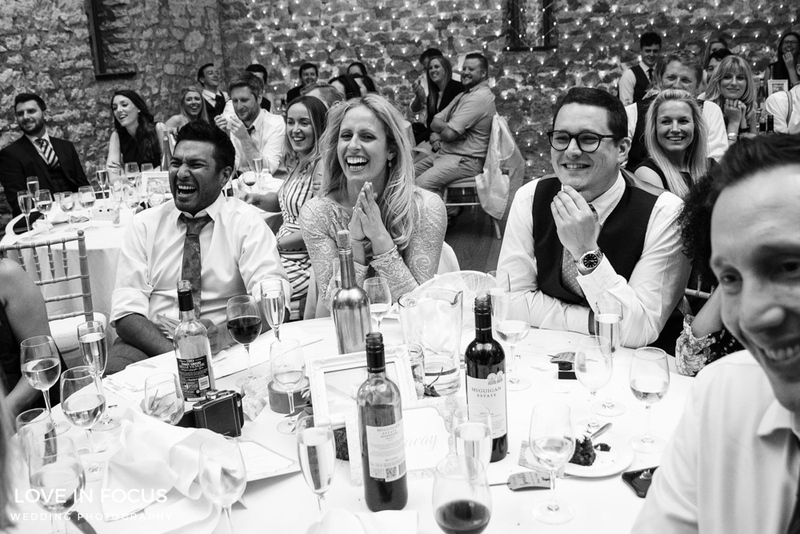 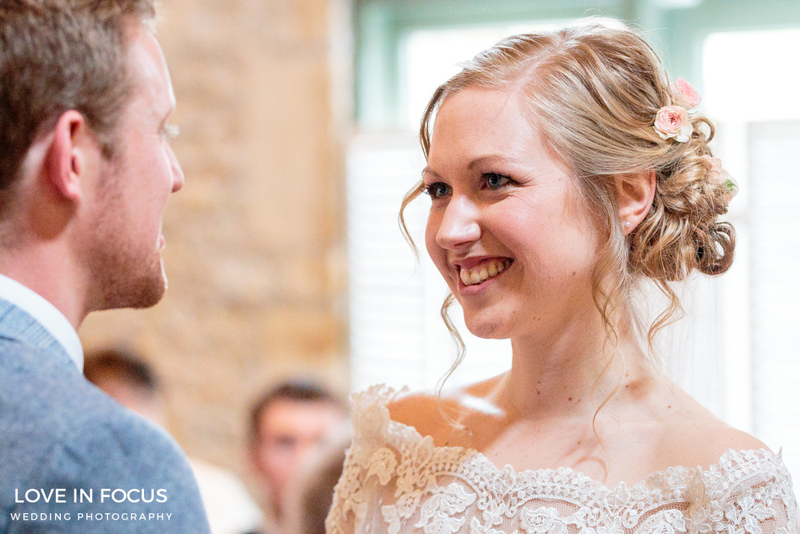 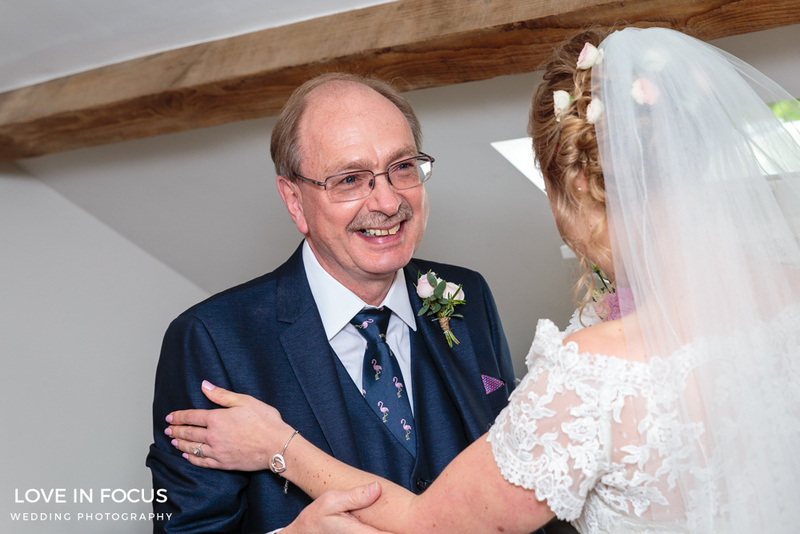 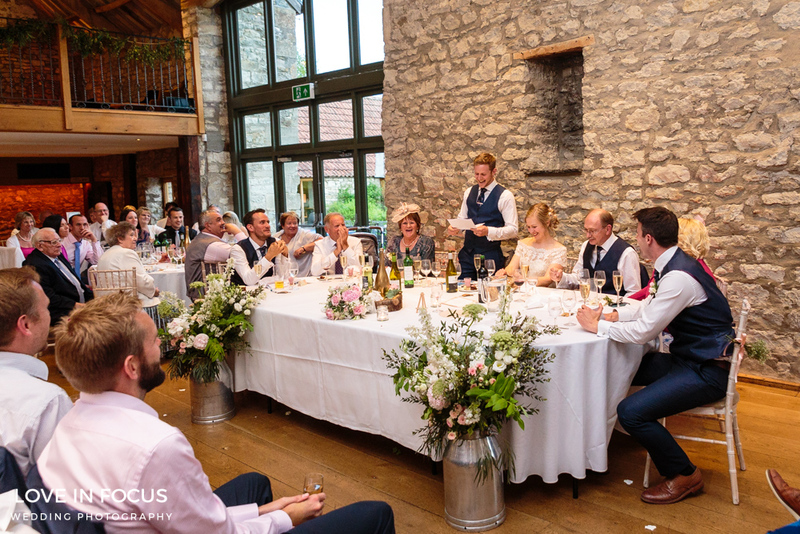 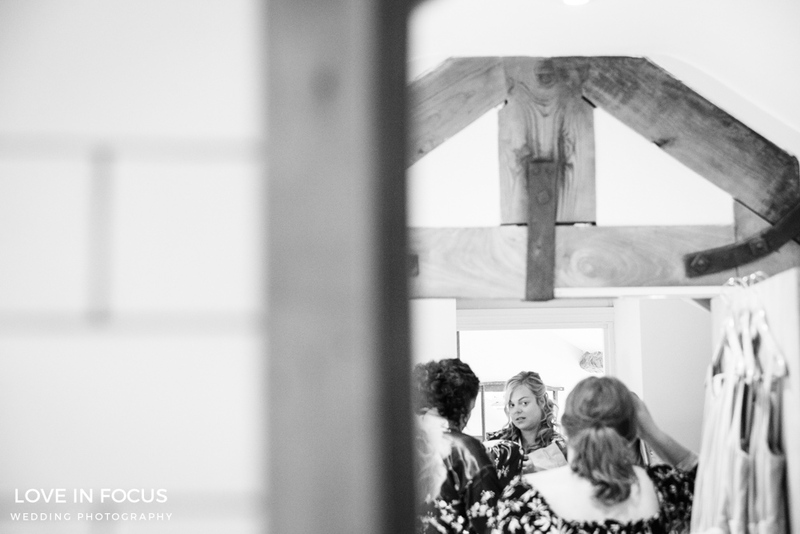 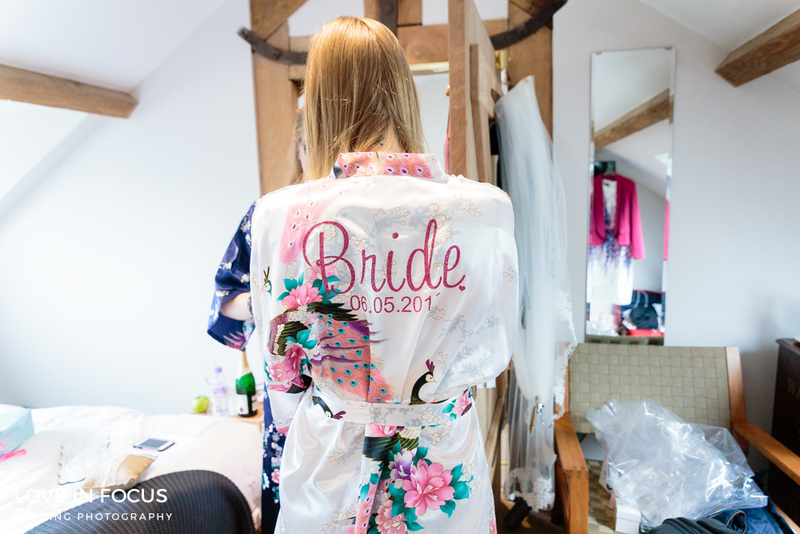 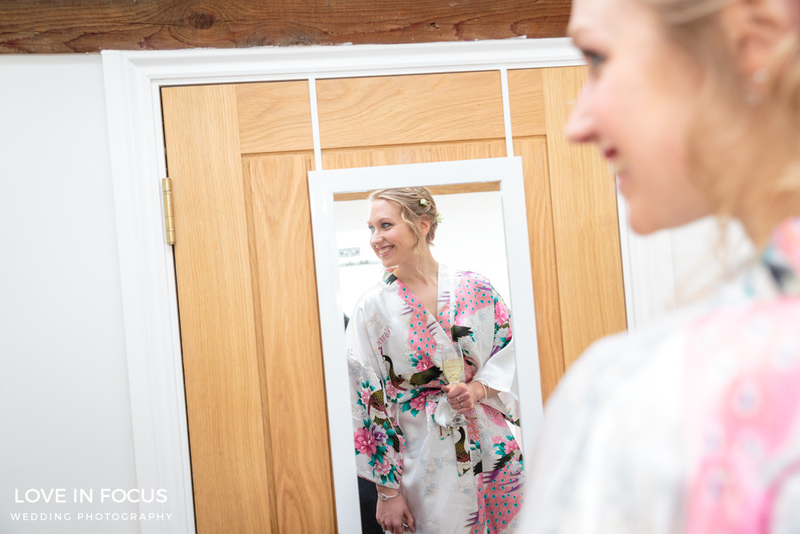 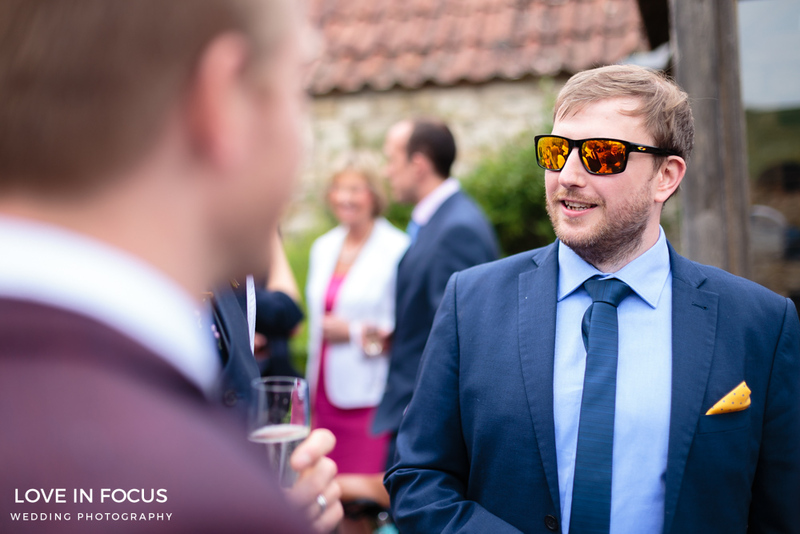 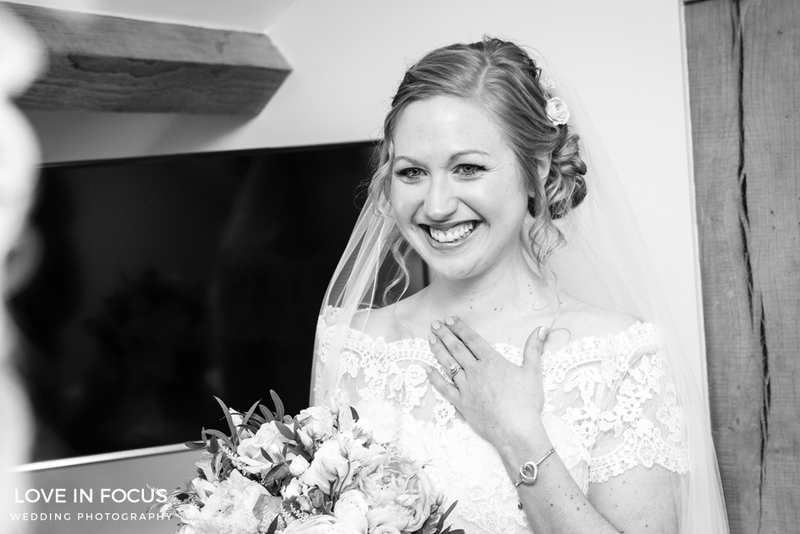 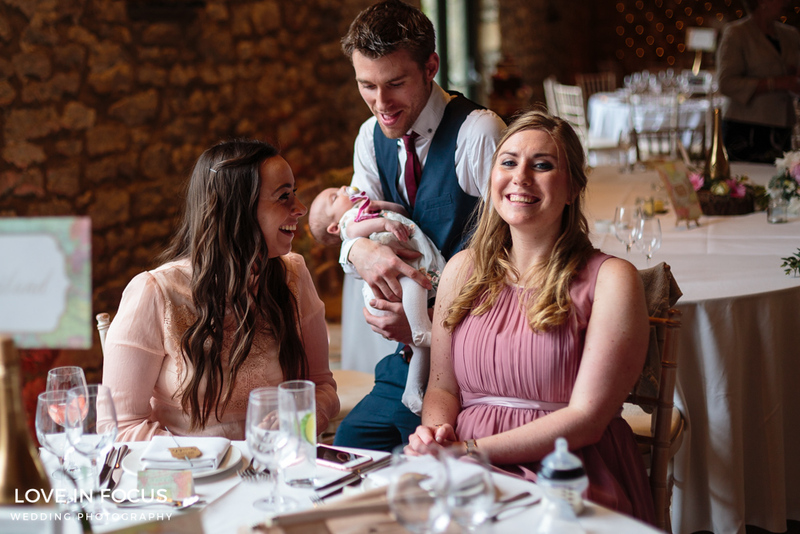 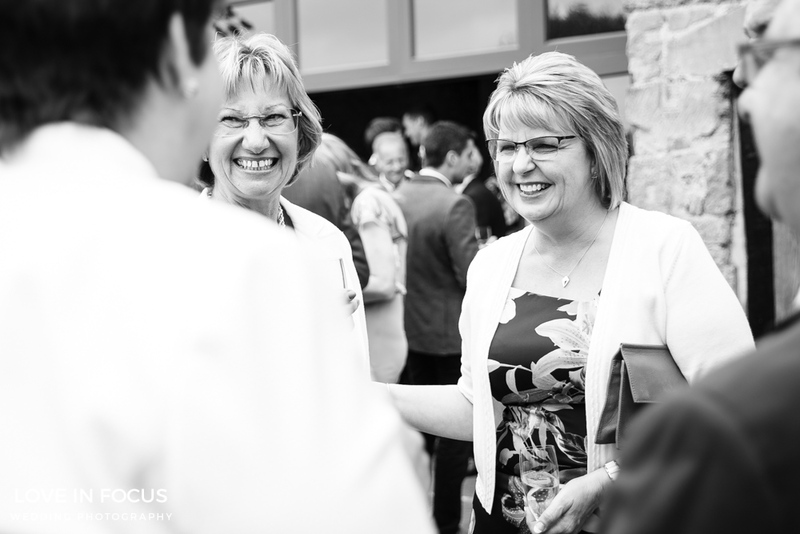 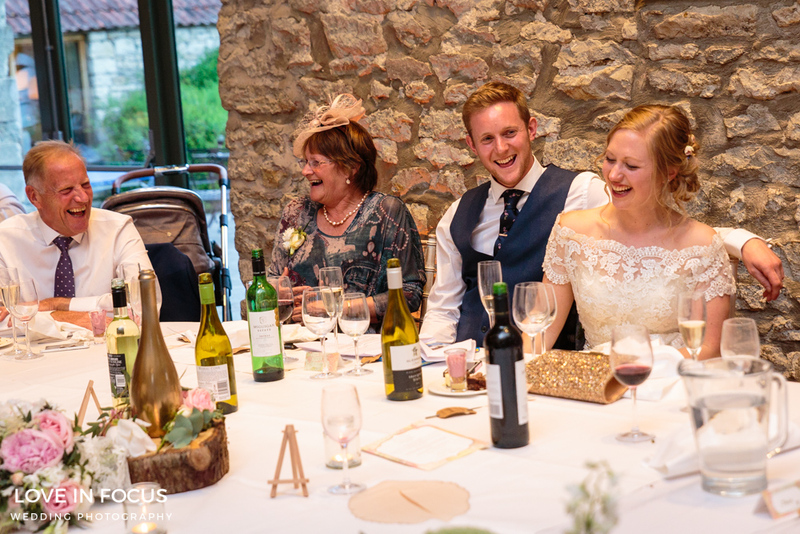 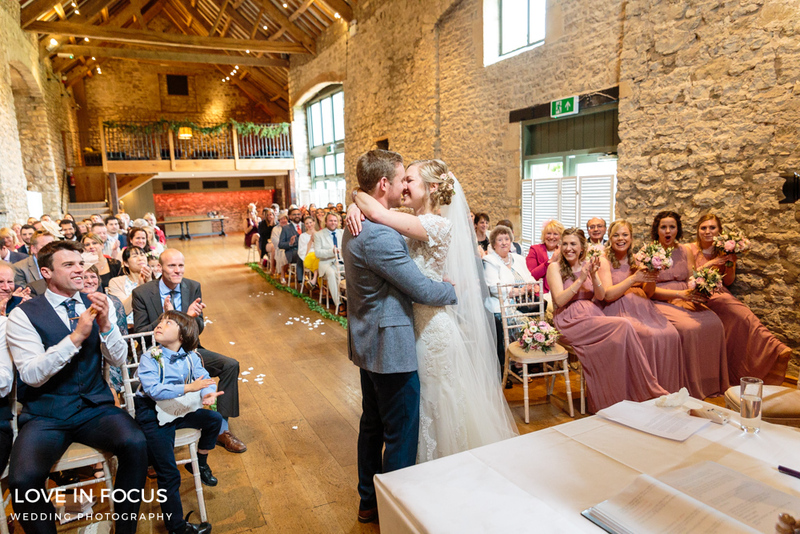 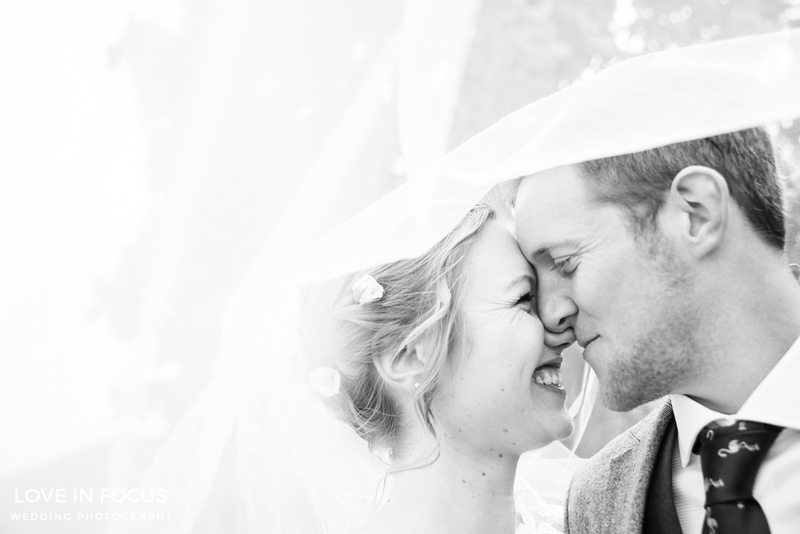 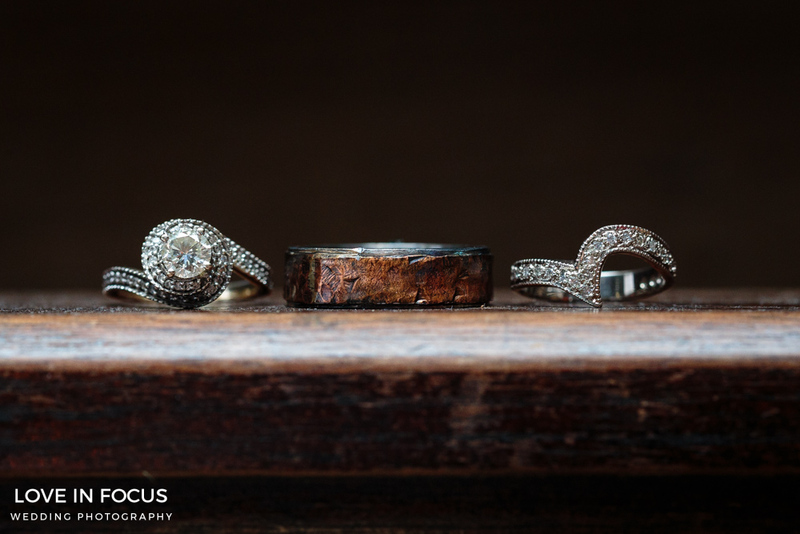 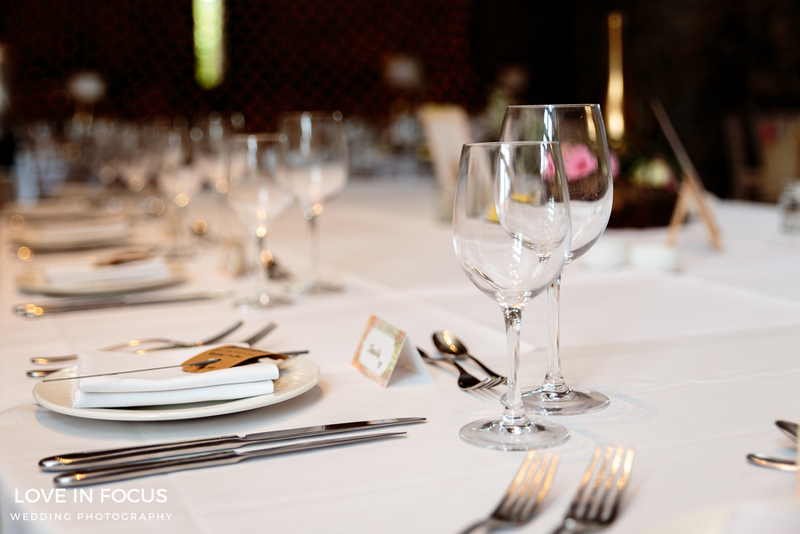 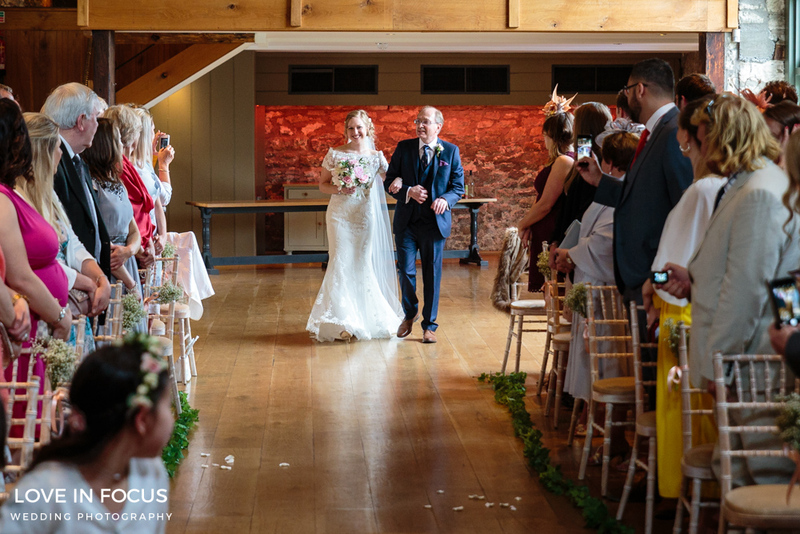 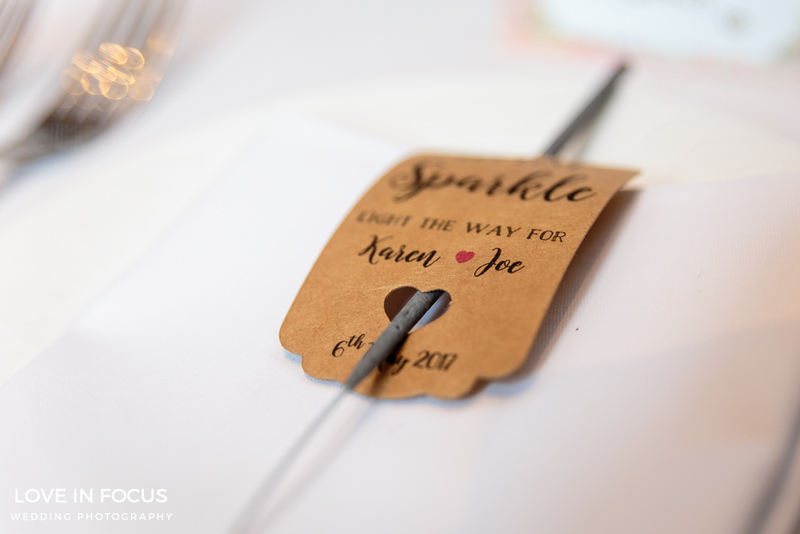 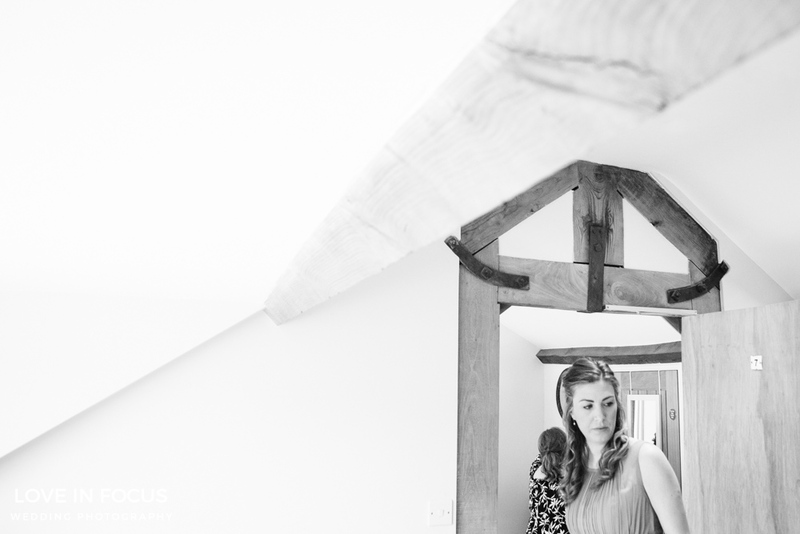 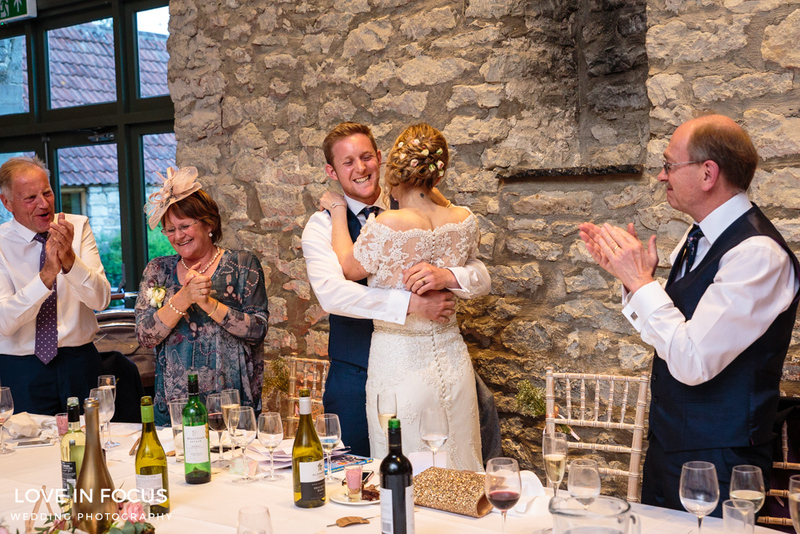 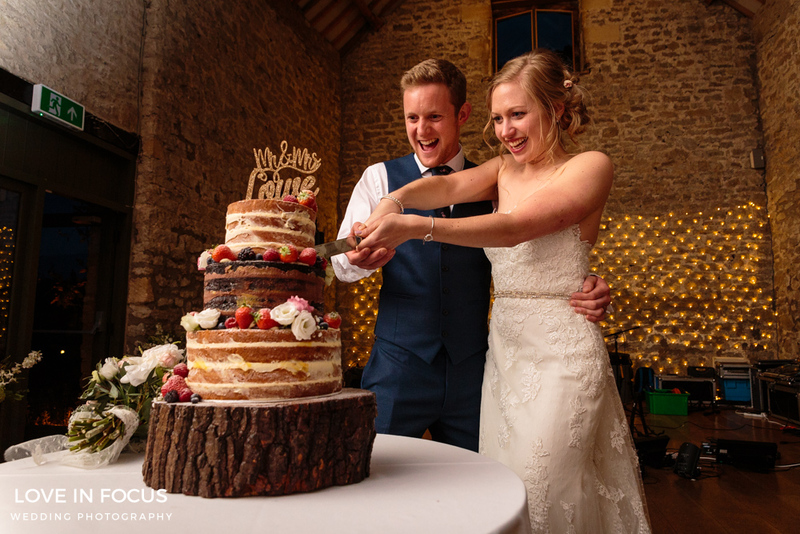 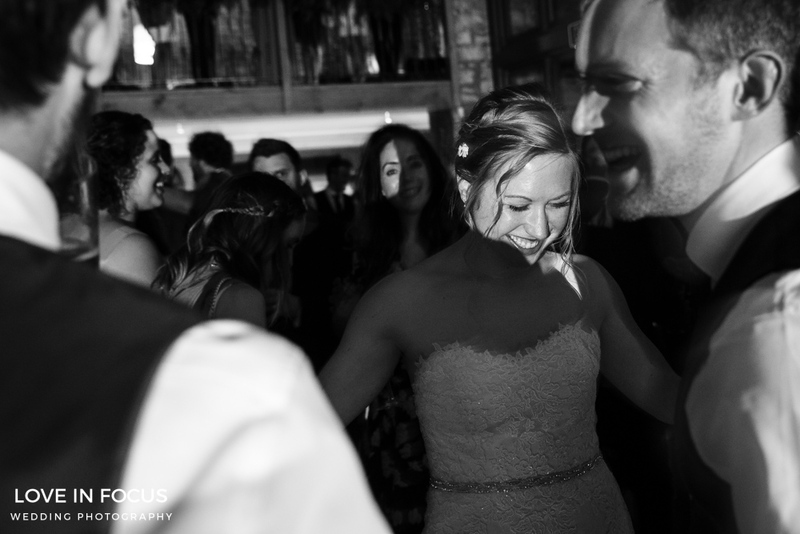 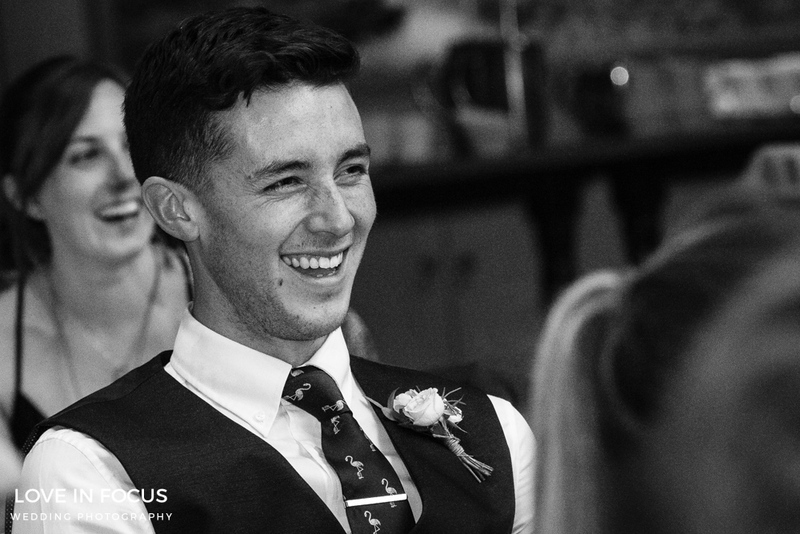 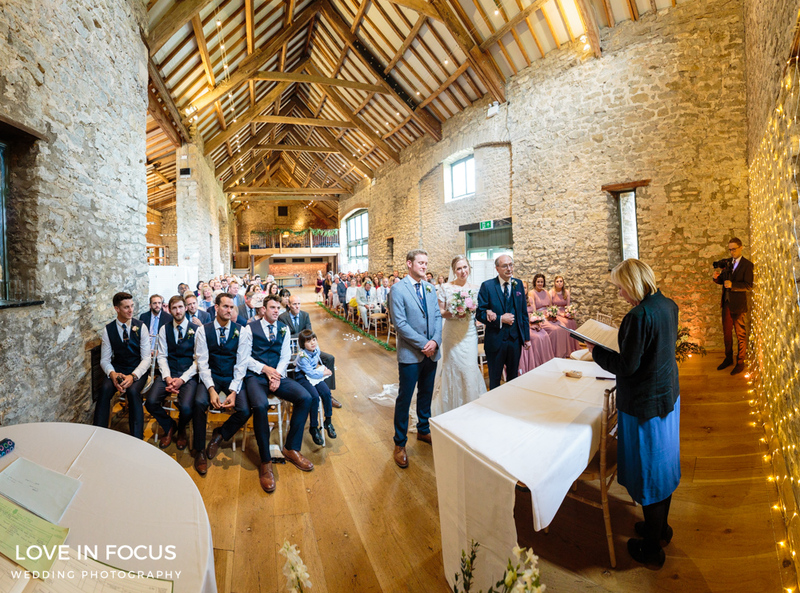 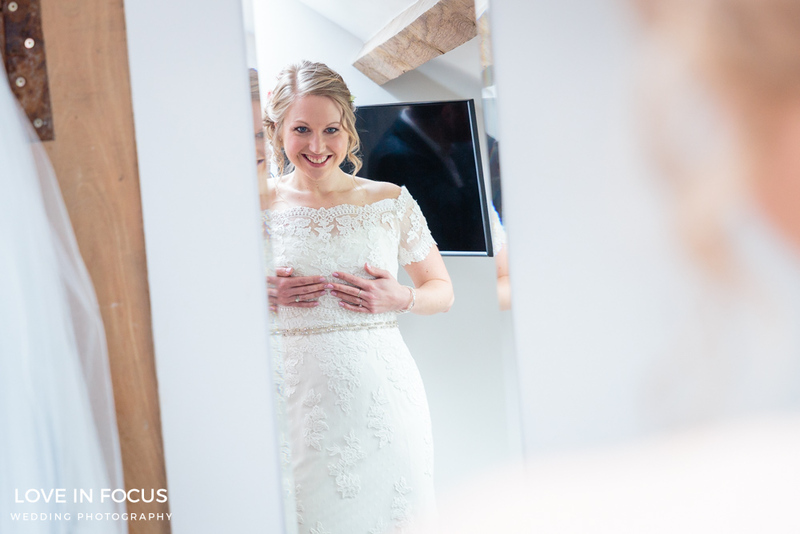 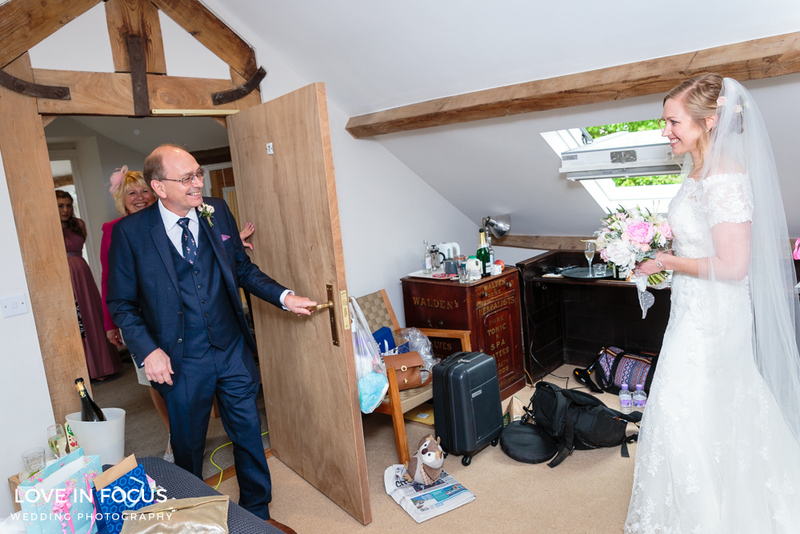 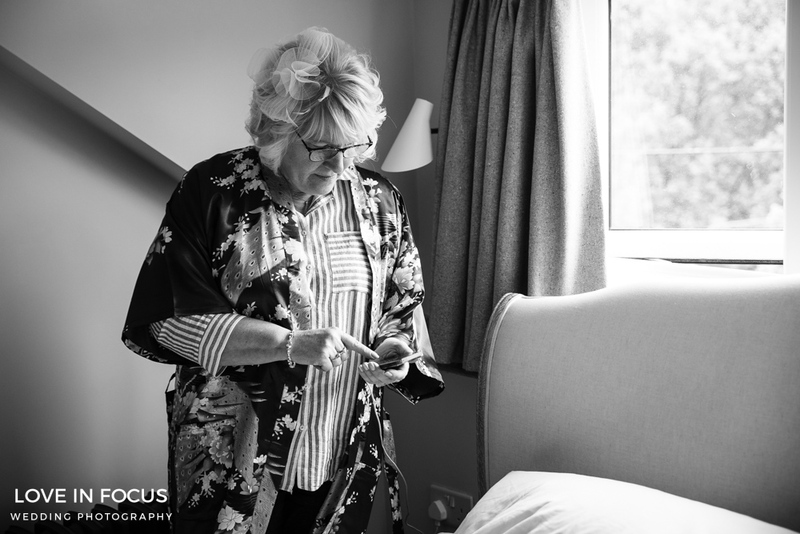 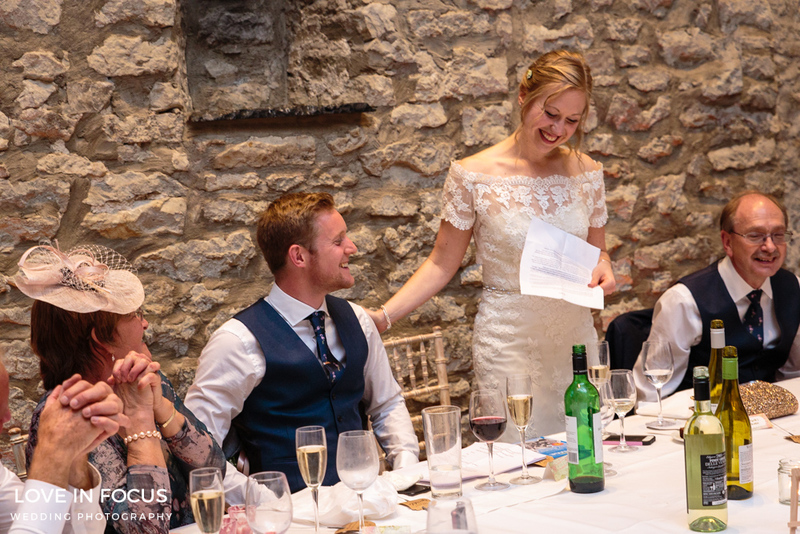 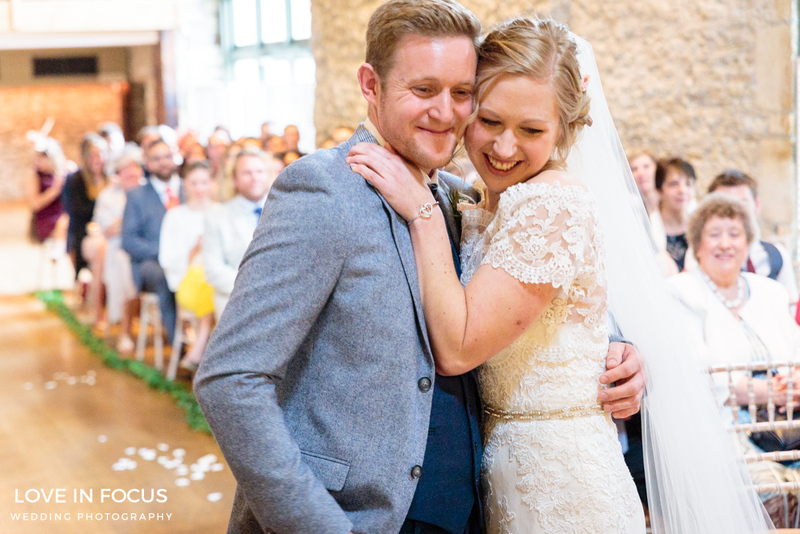 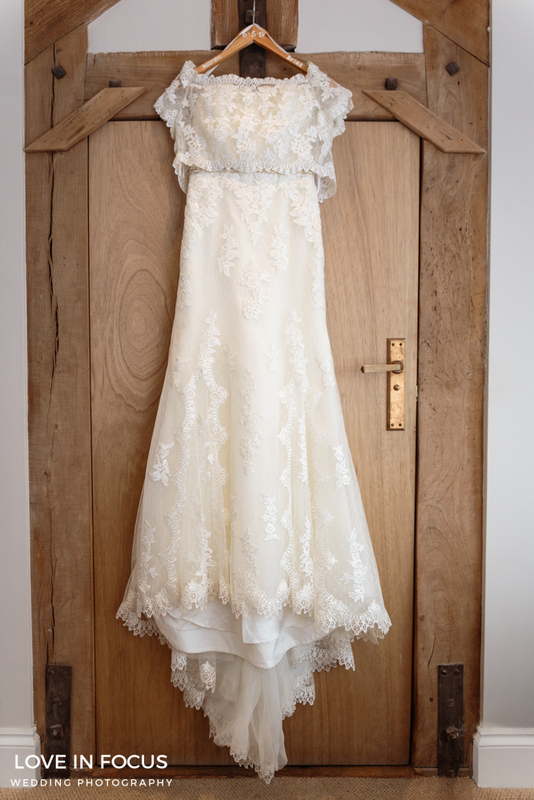 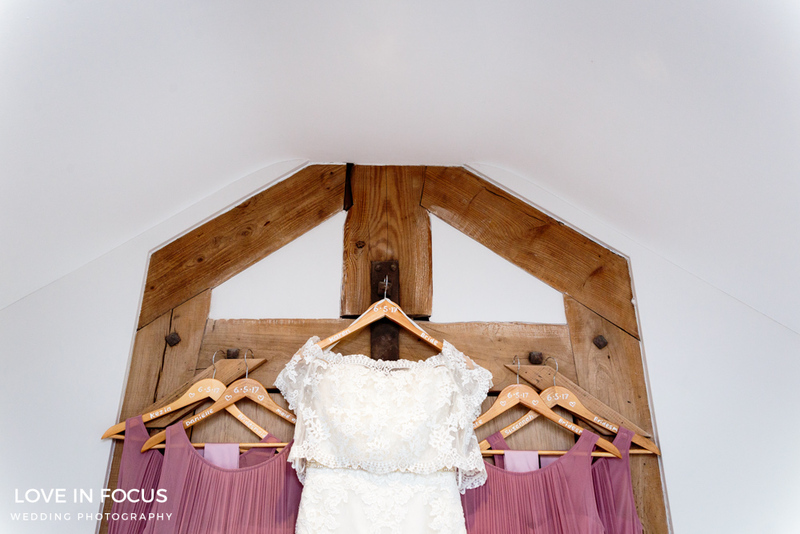 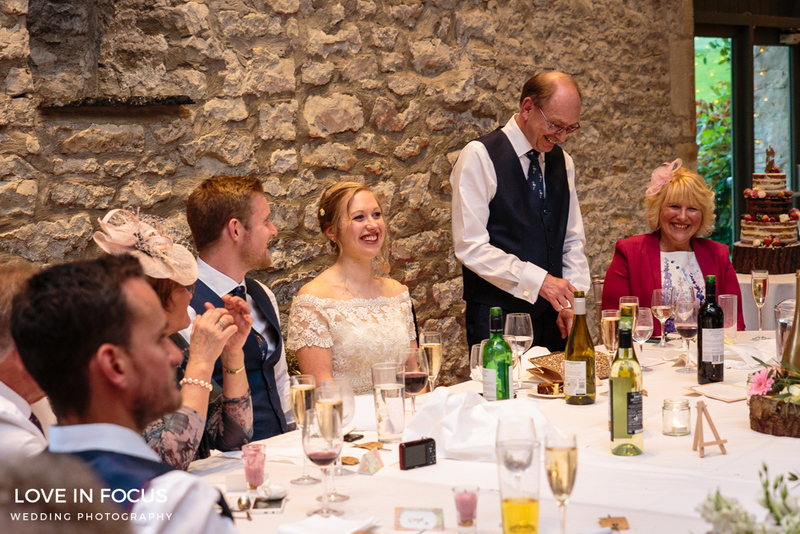 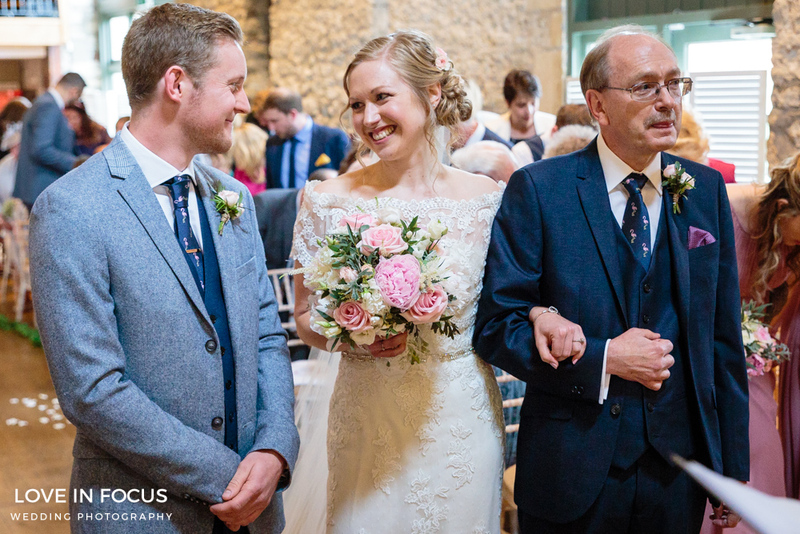 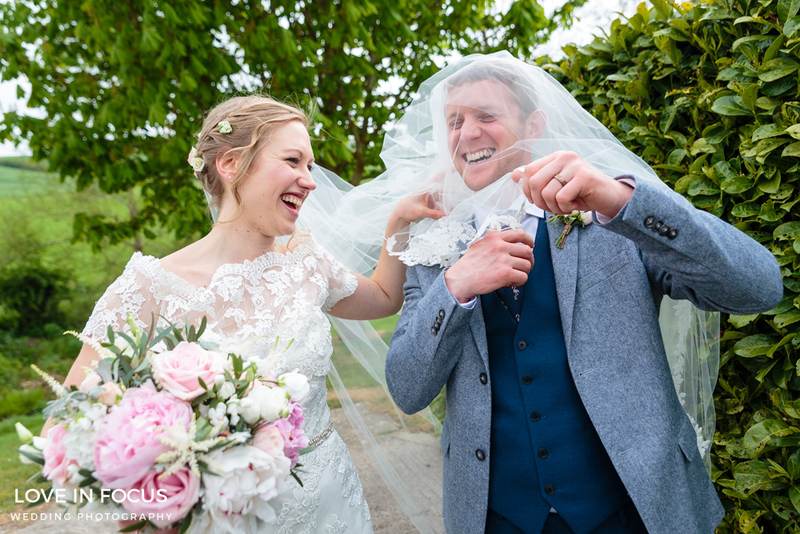 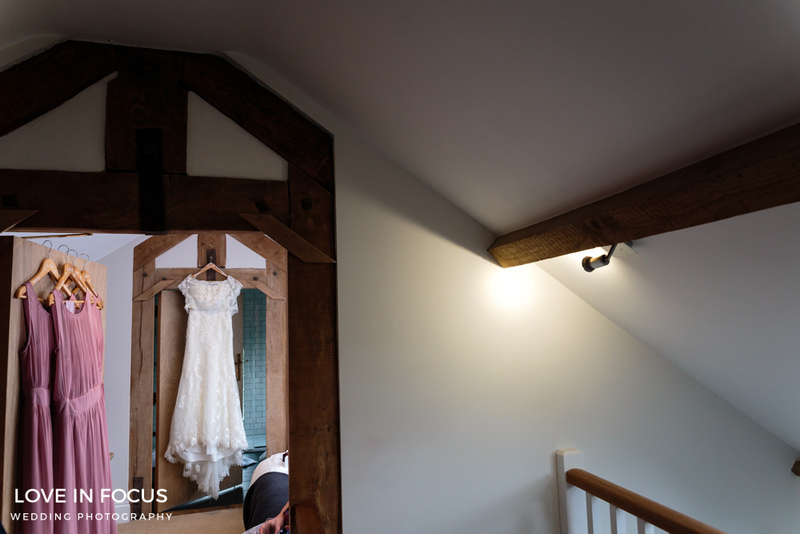 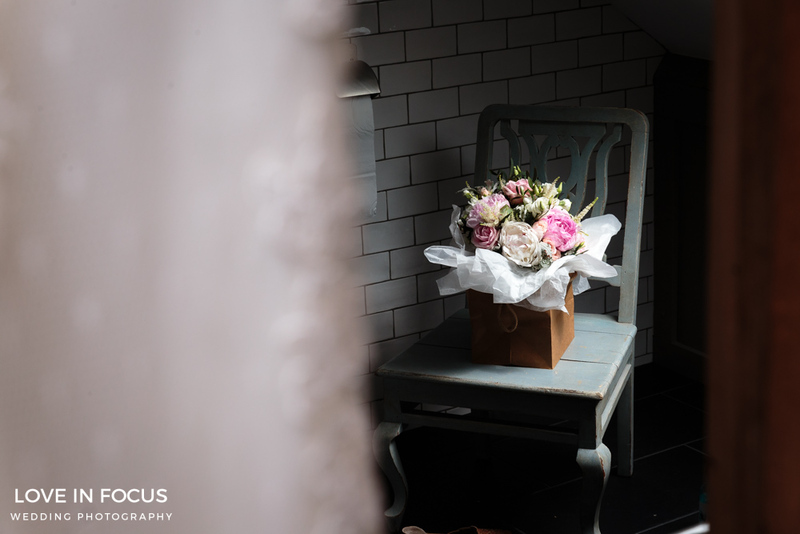 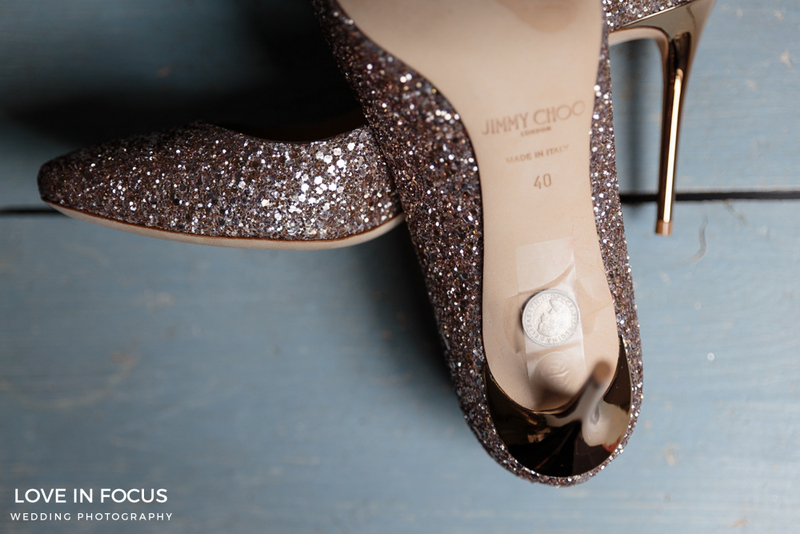 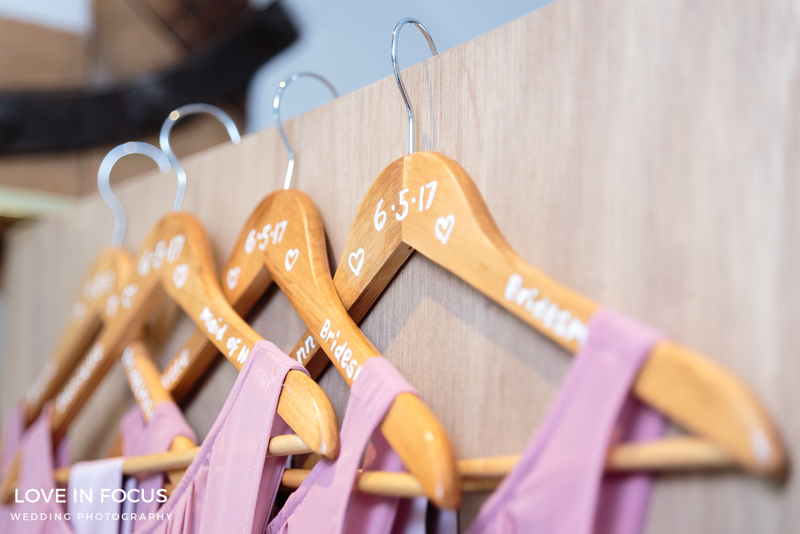 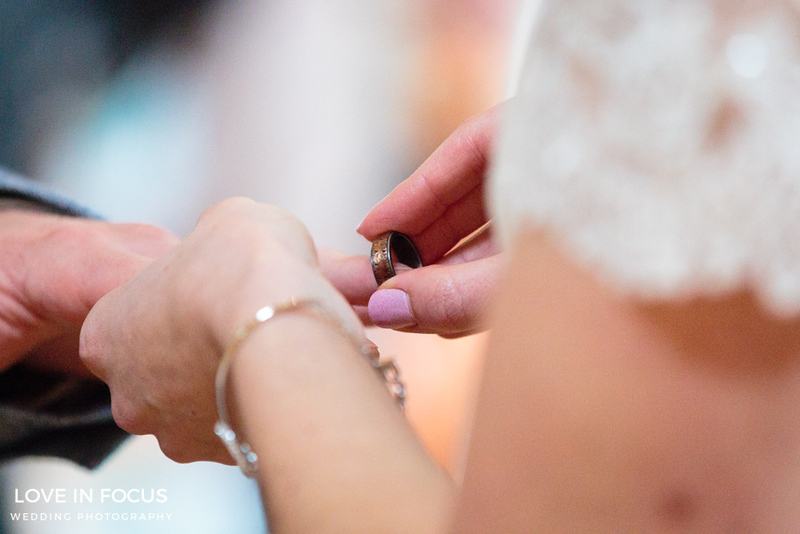 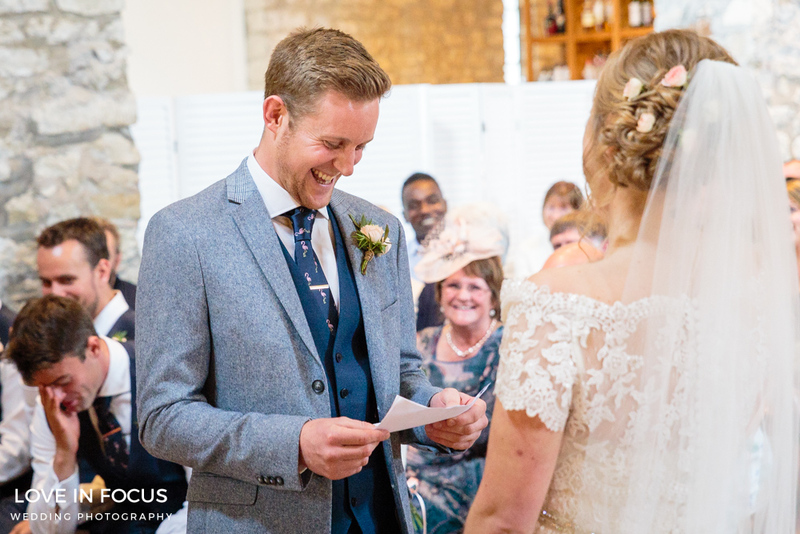 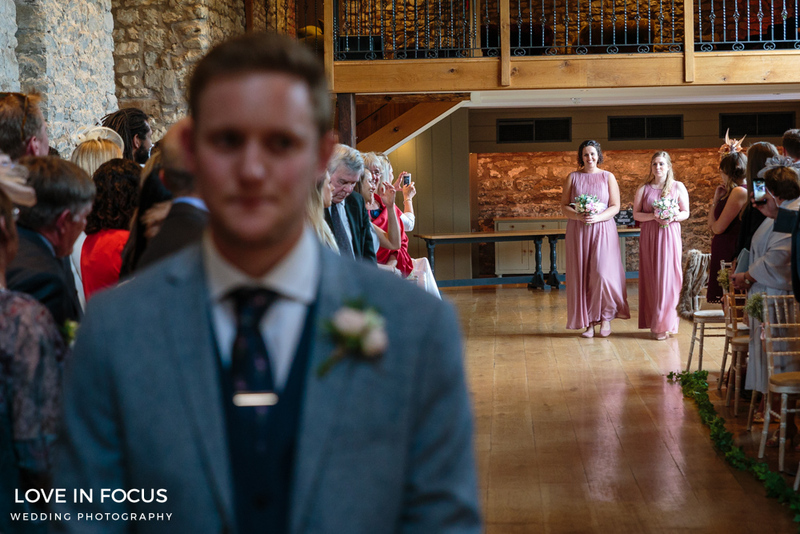 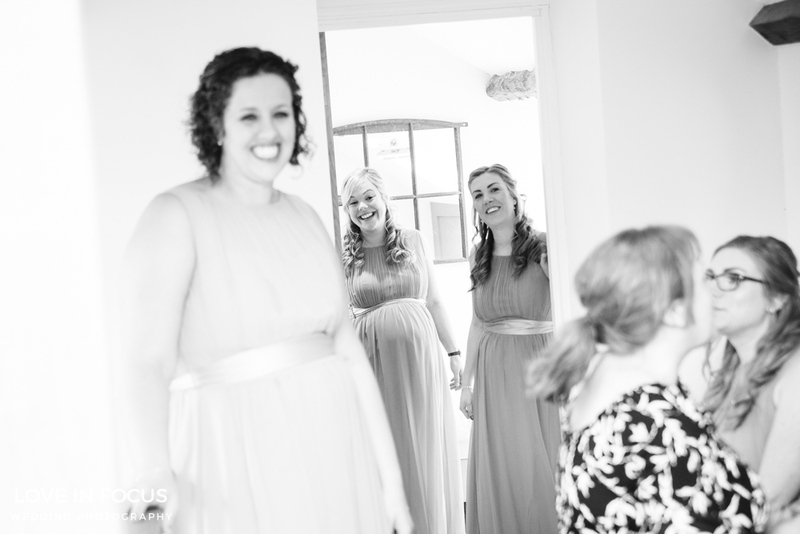 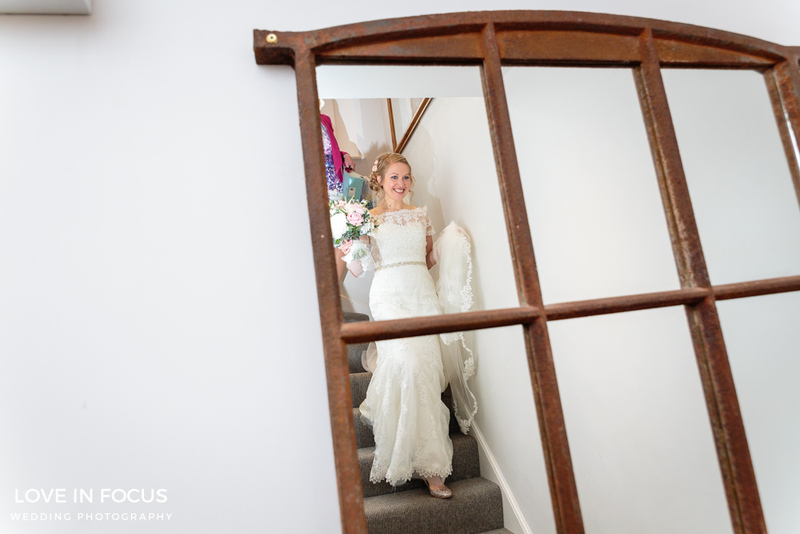 Priston Mill wedding photography is always a pleasure to shoot. 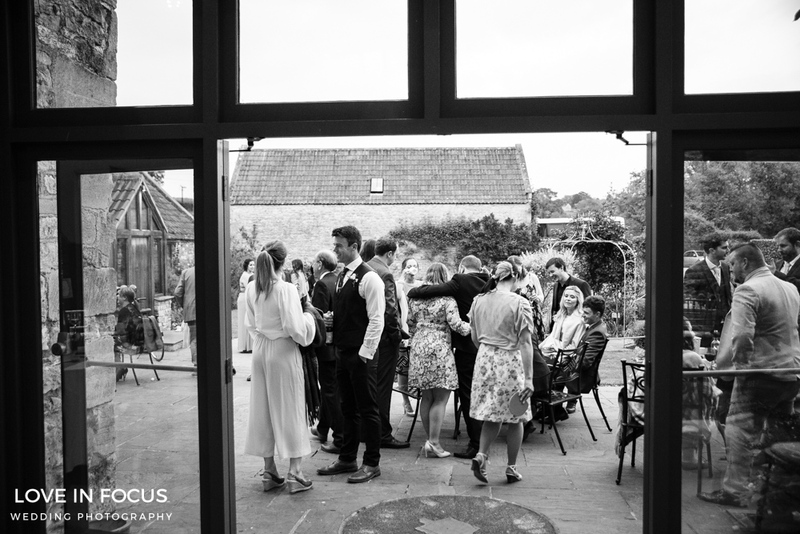 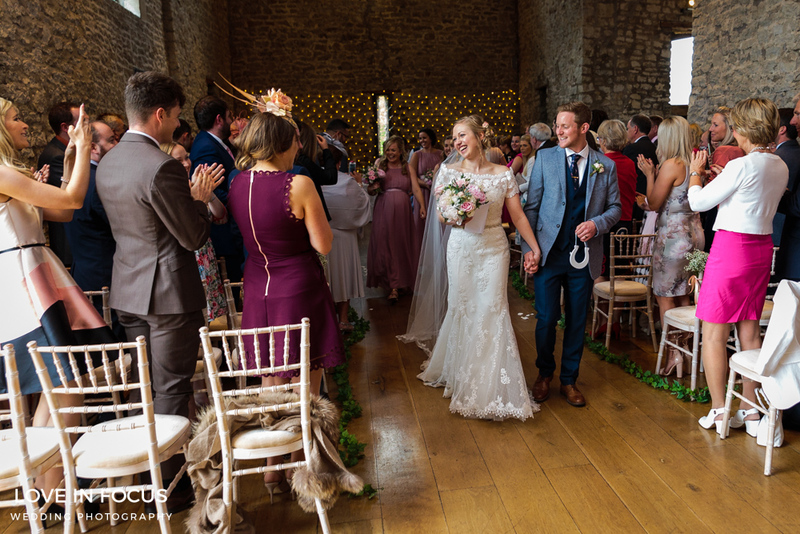 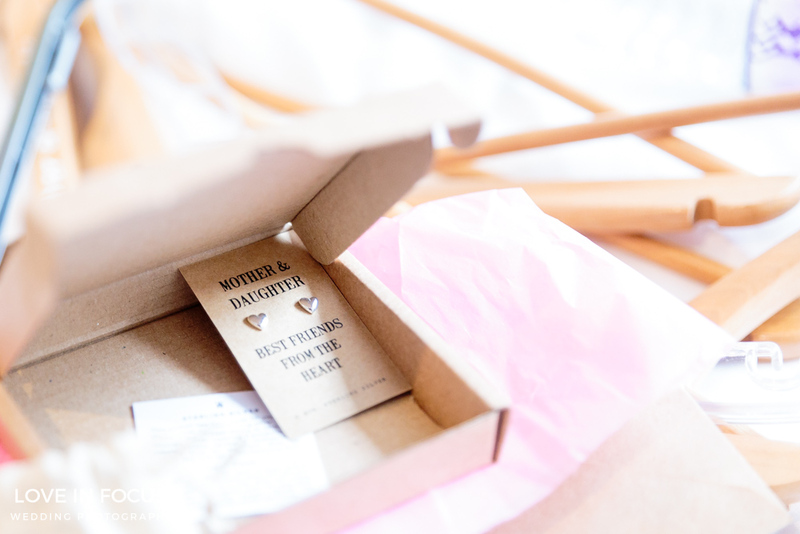 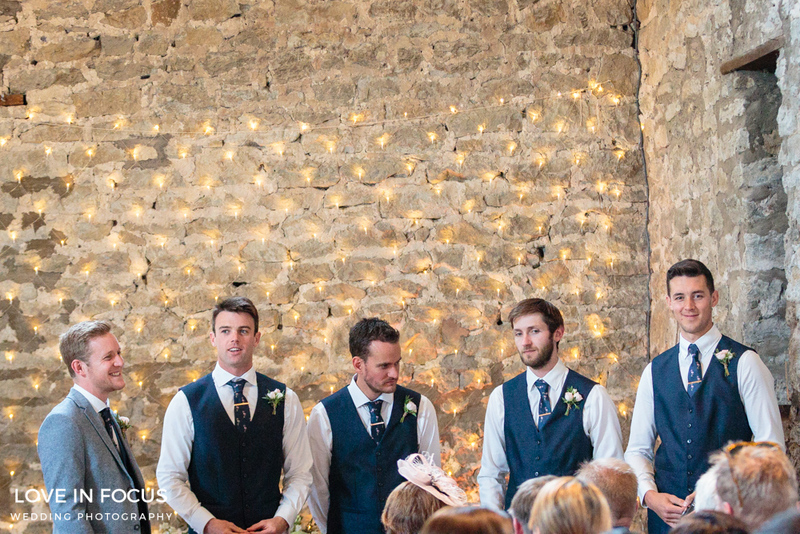 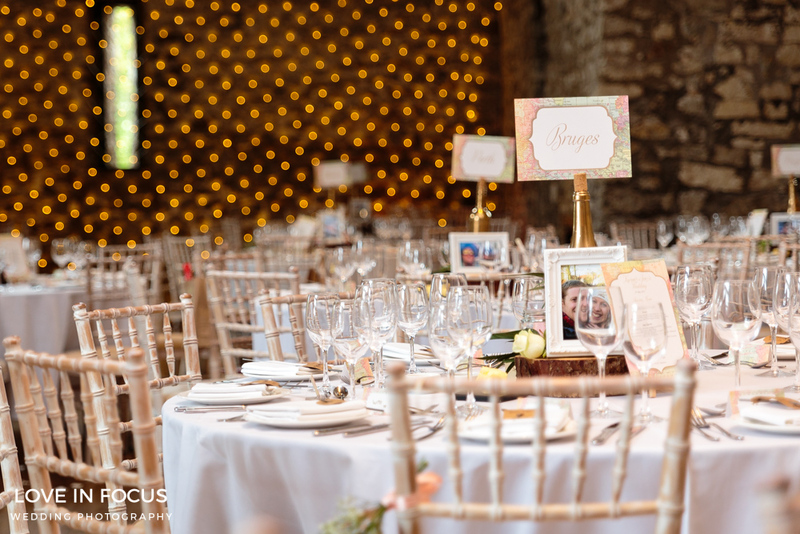 And this was a super stylish and lovely laid back wedding for a super stylish and lovely laid back couple. 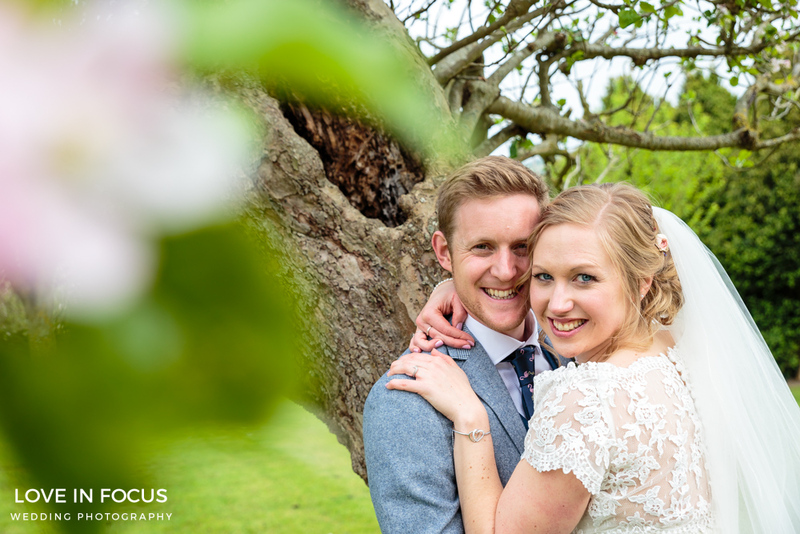 Congratulations to Karen and Joe for getting married and creating such an amazing day. 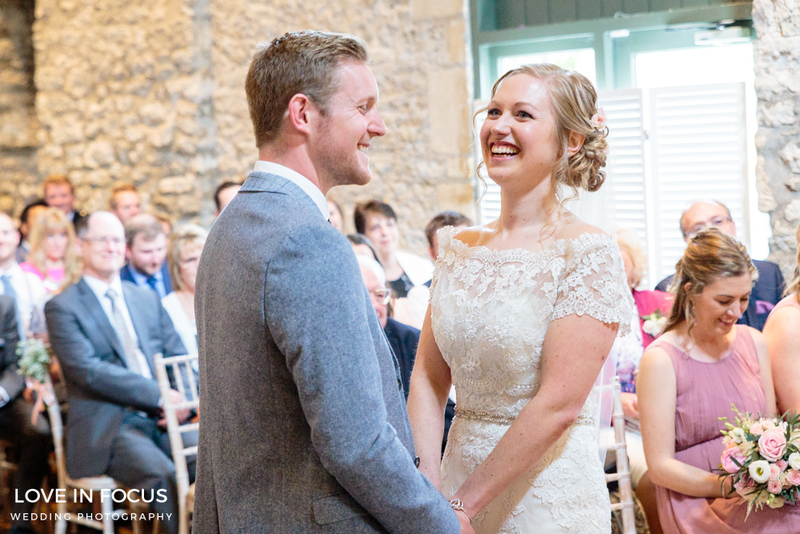 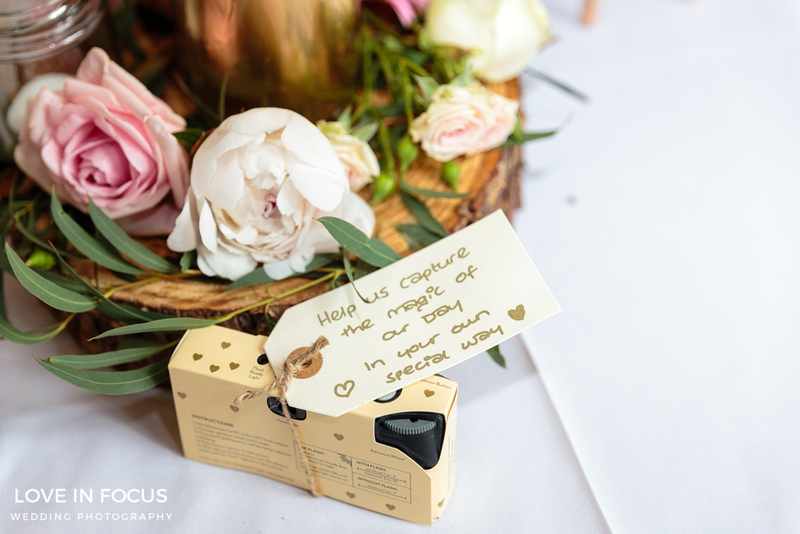 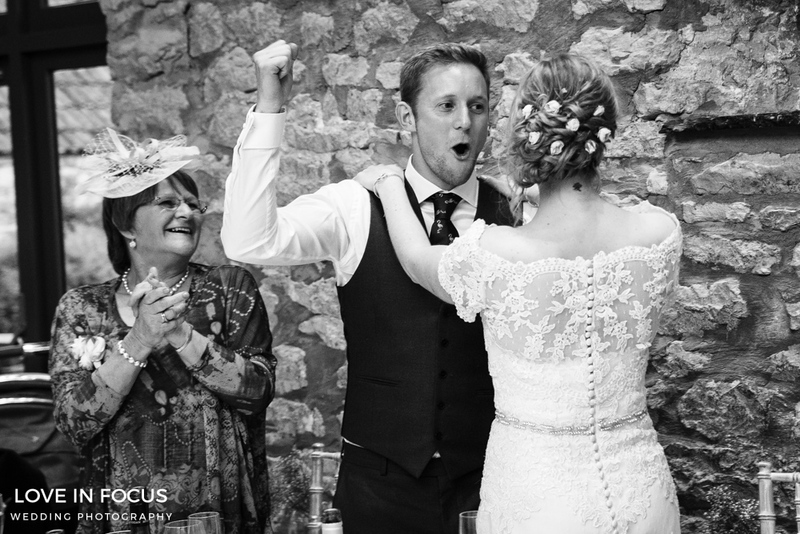 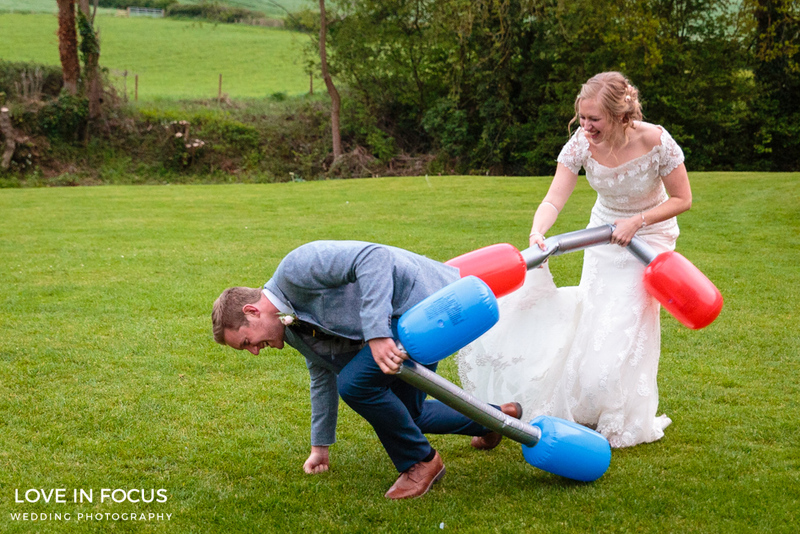 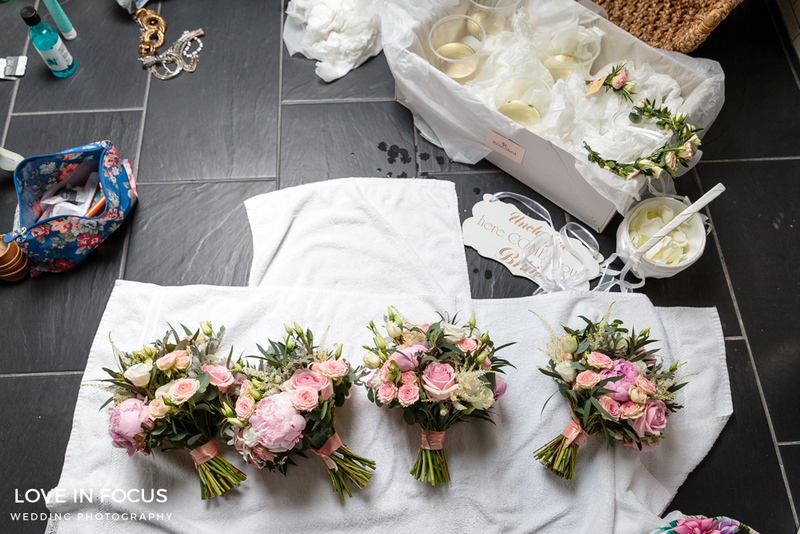 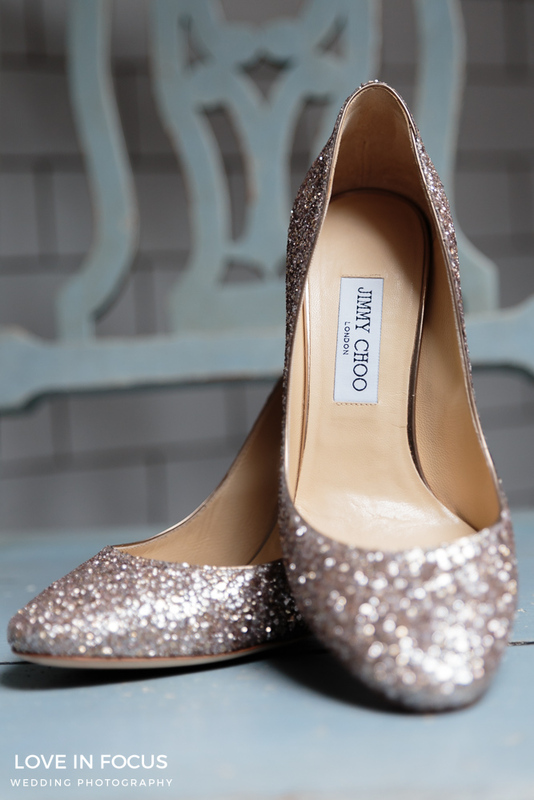 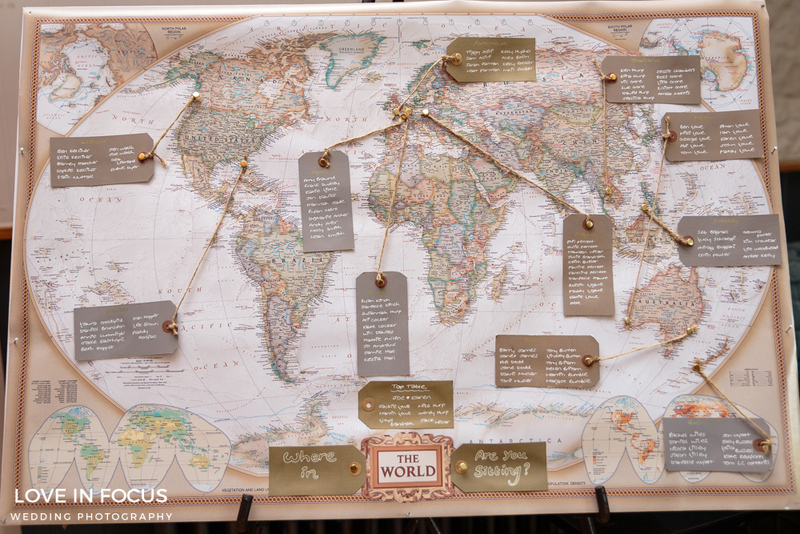 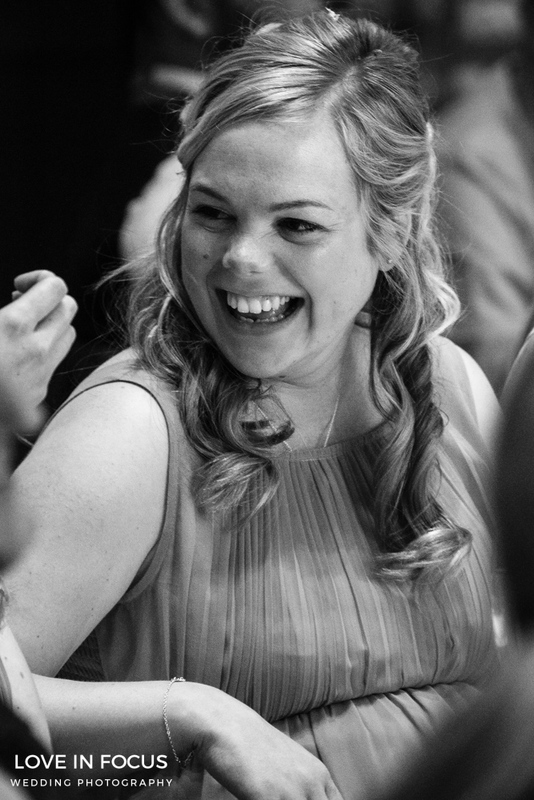 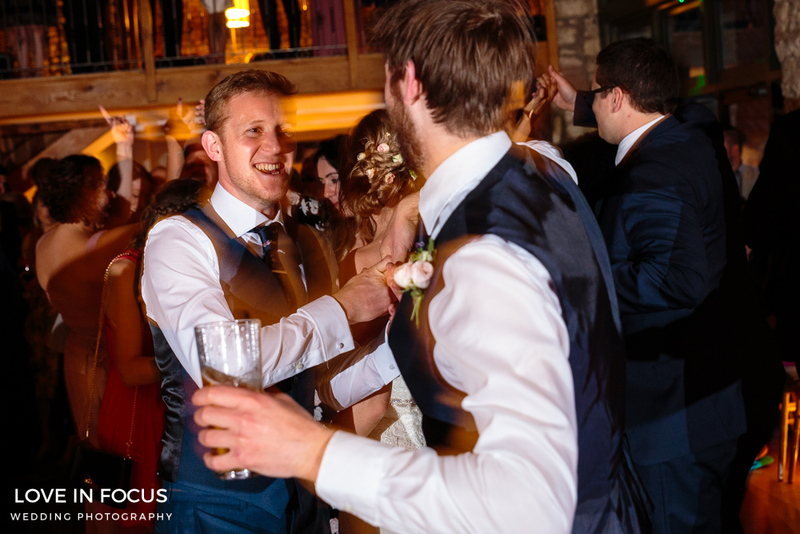 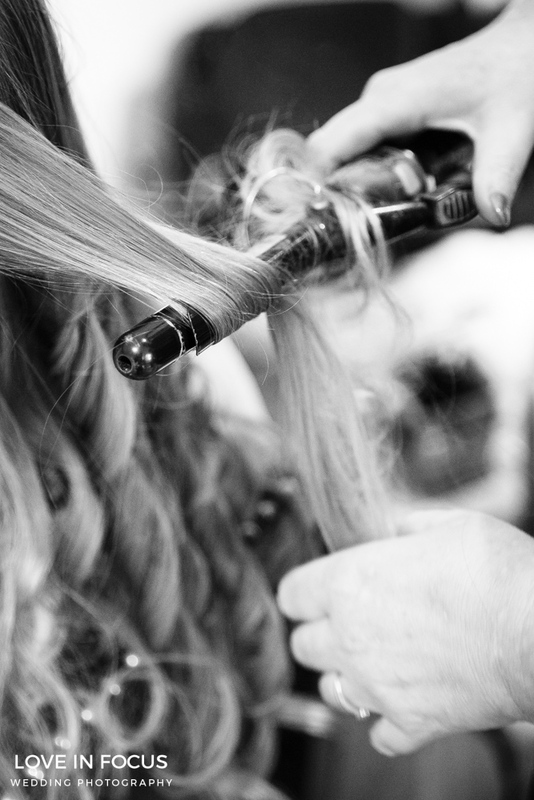 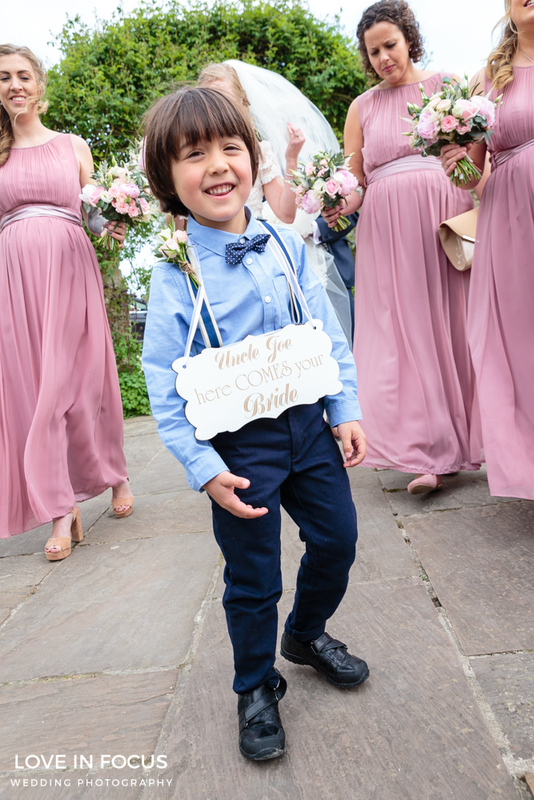 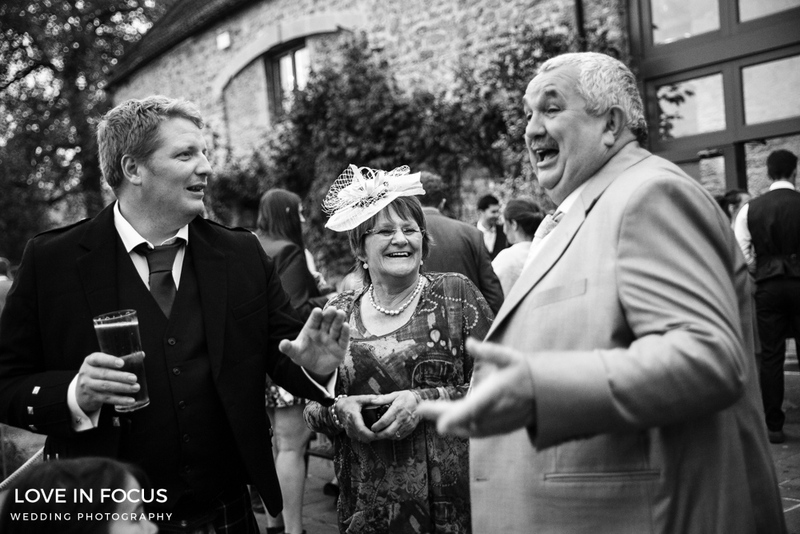 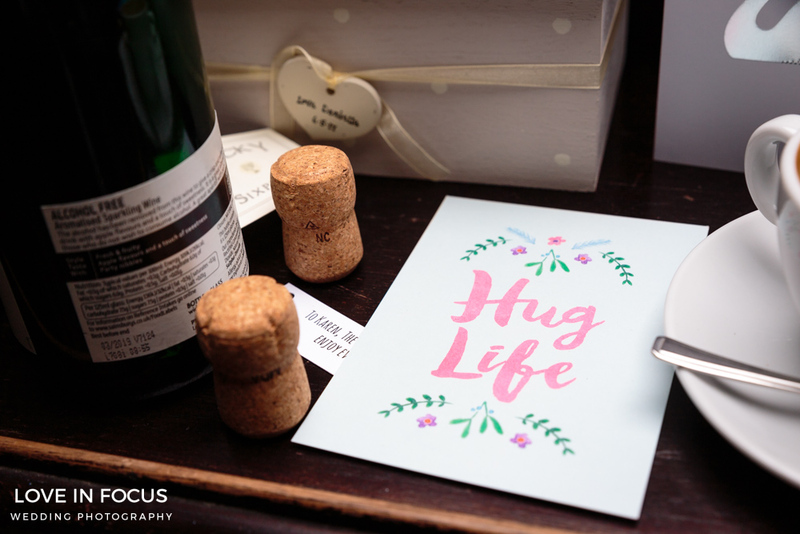 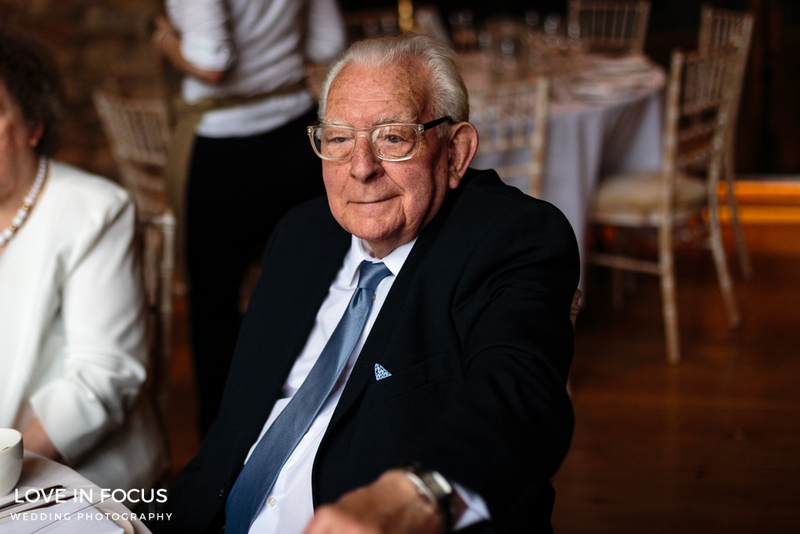 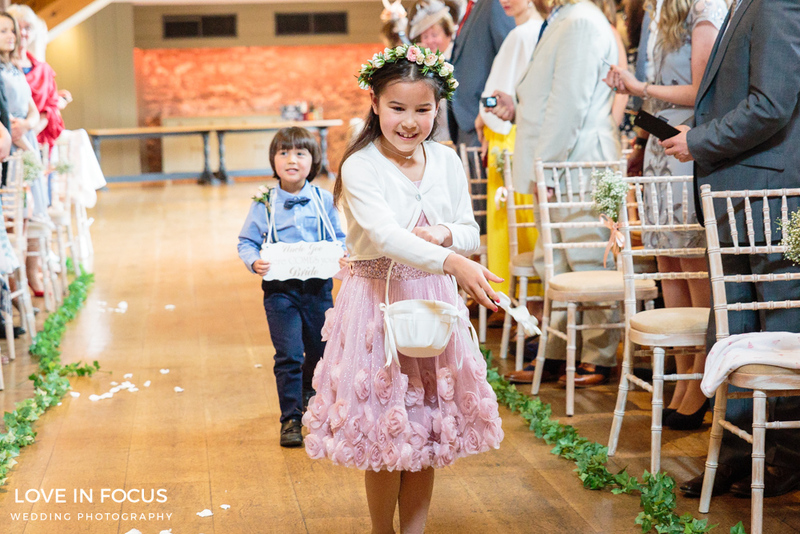 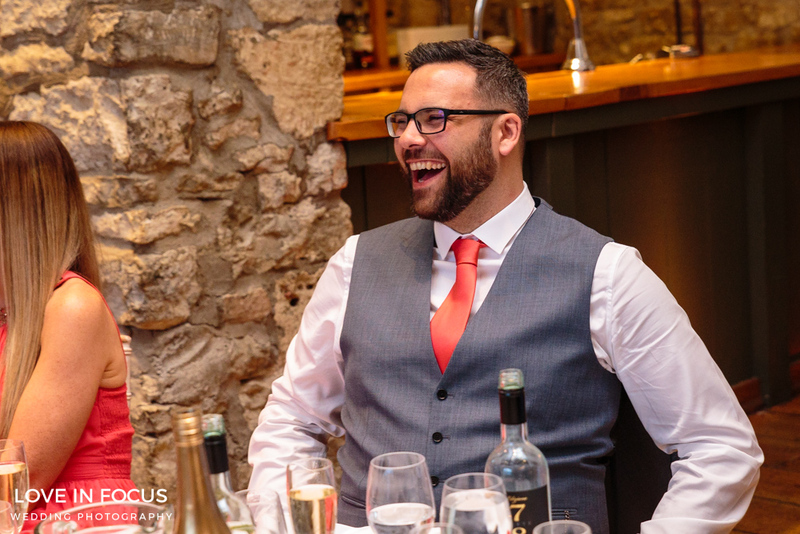 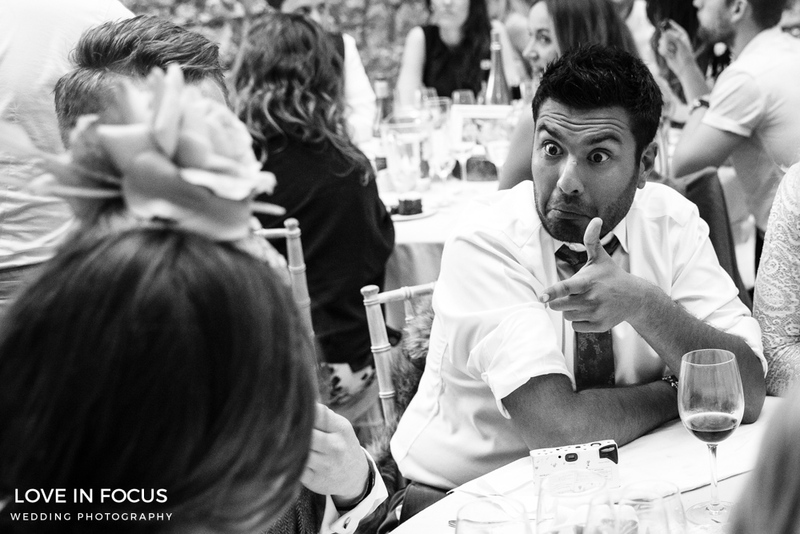 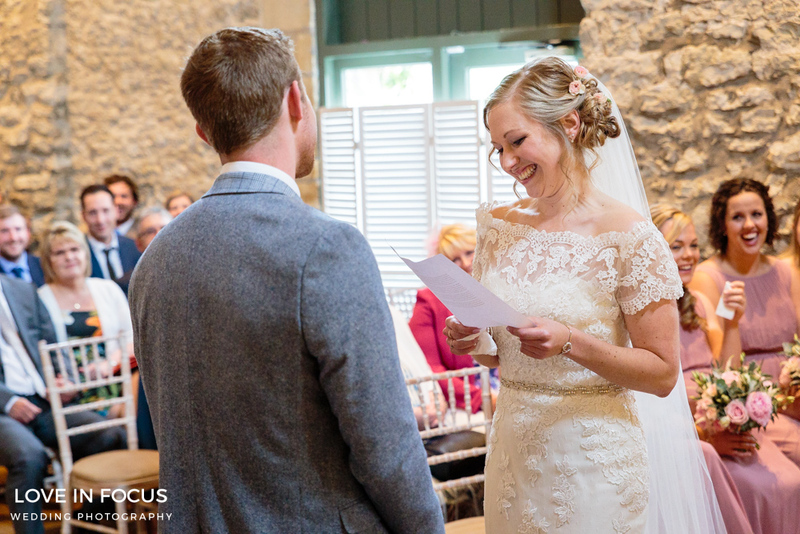 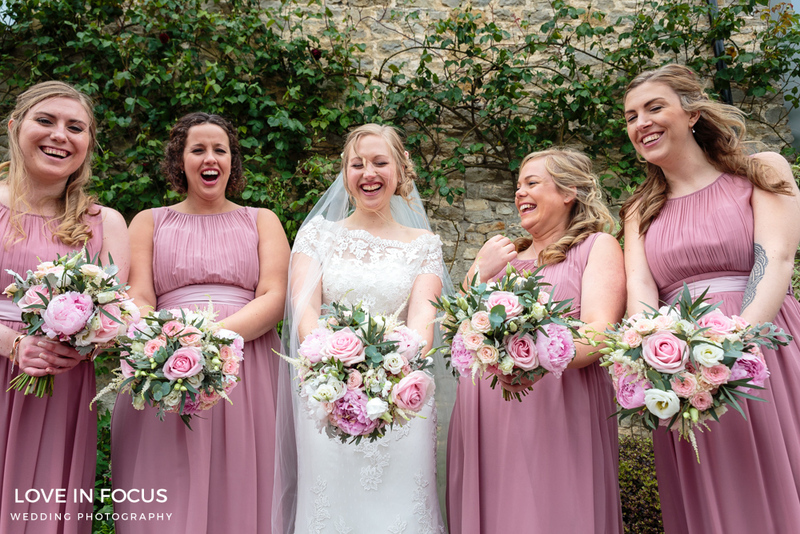 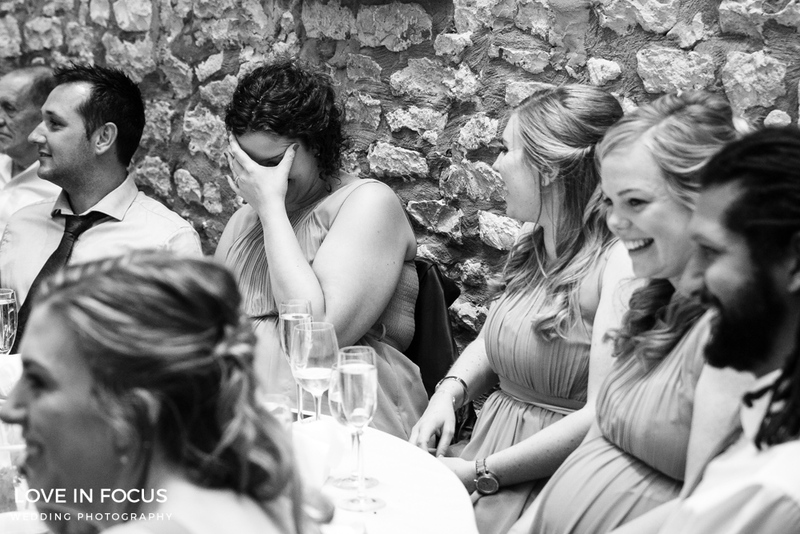 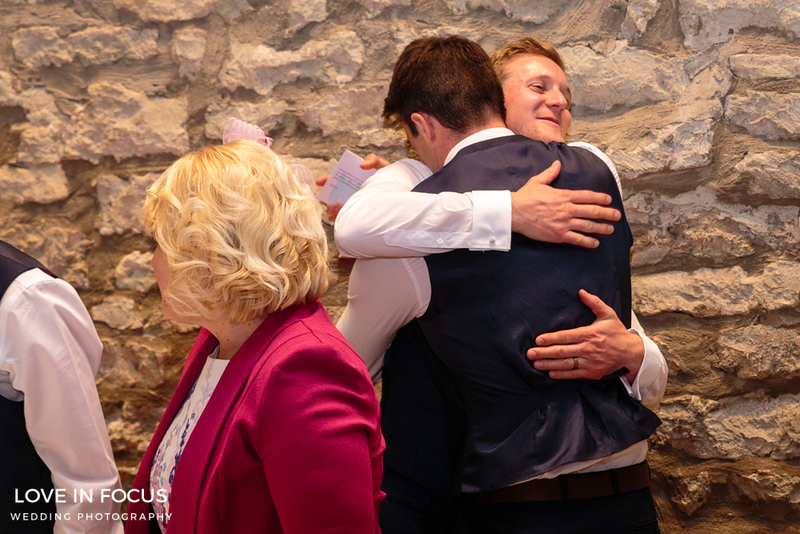 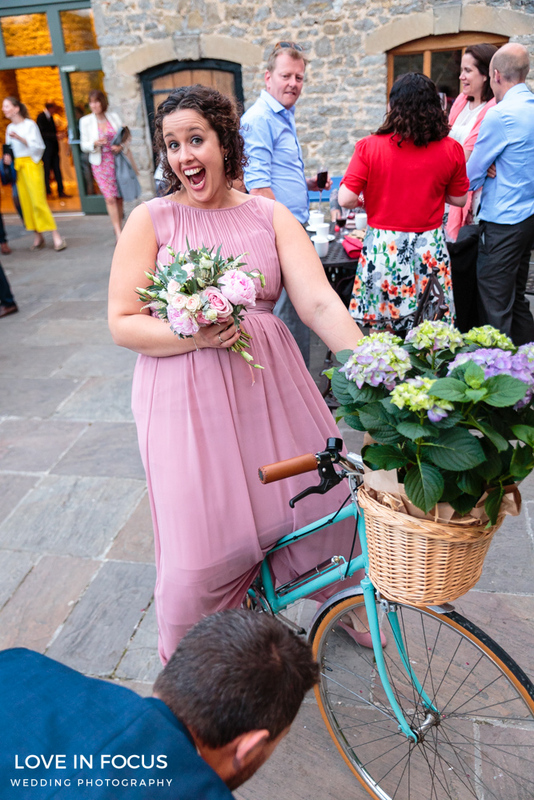 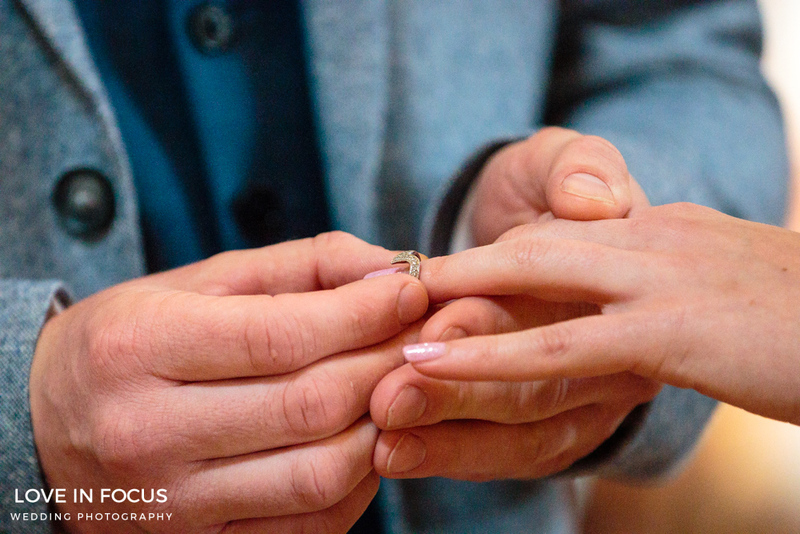 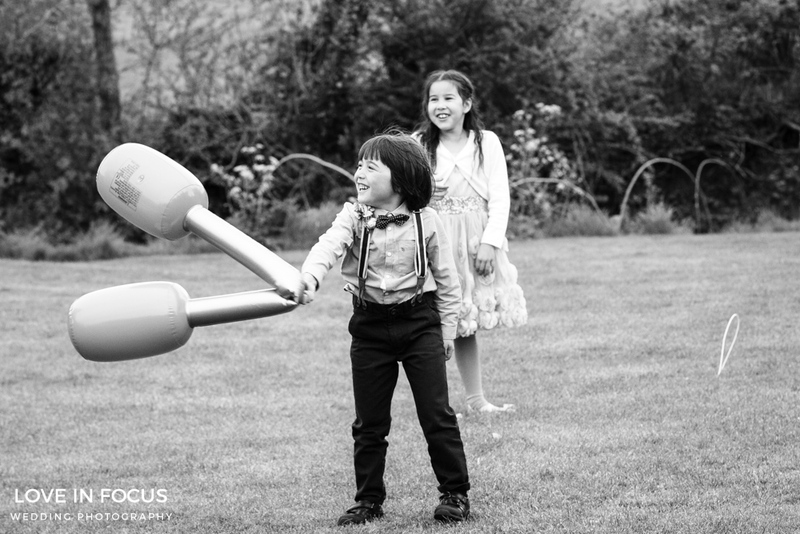 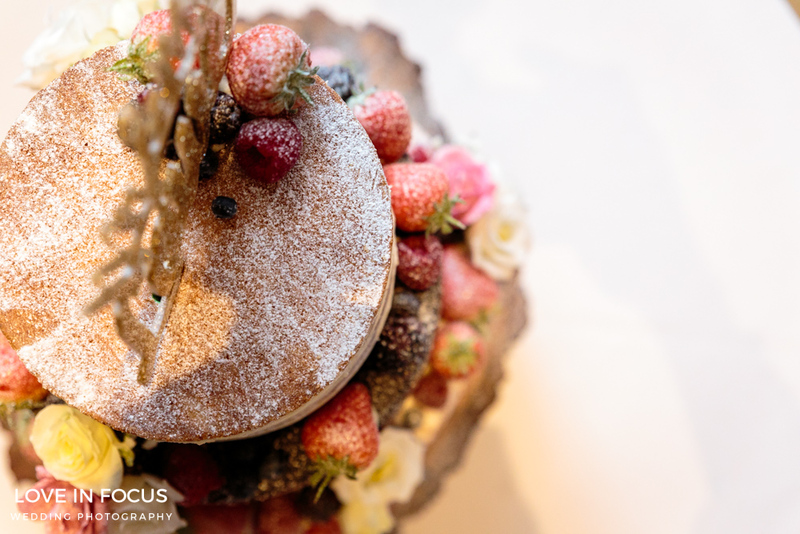 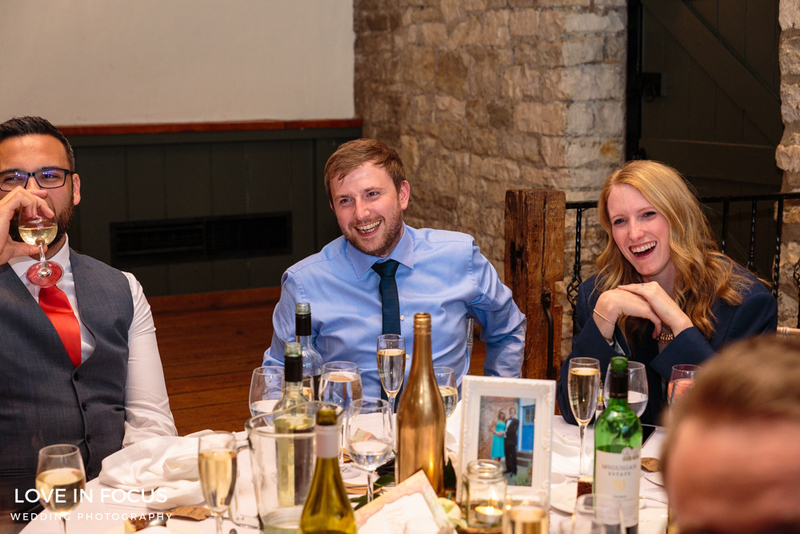 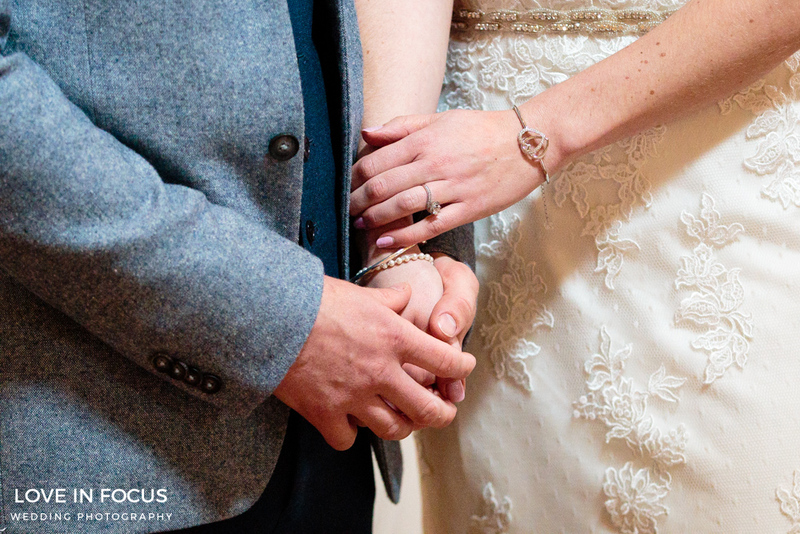 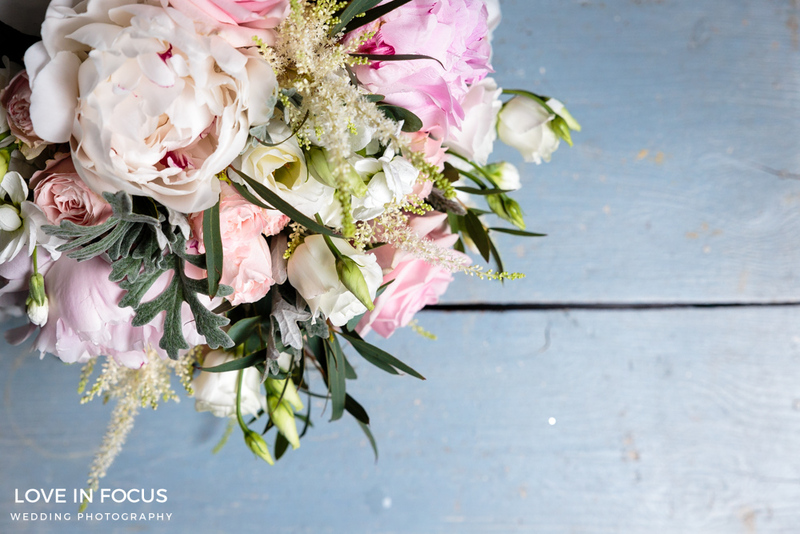 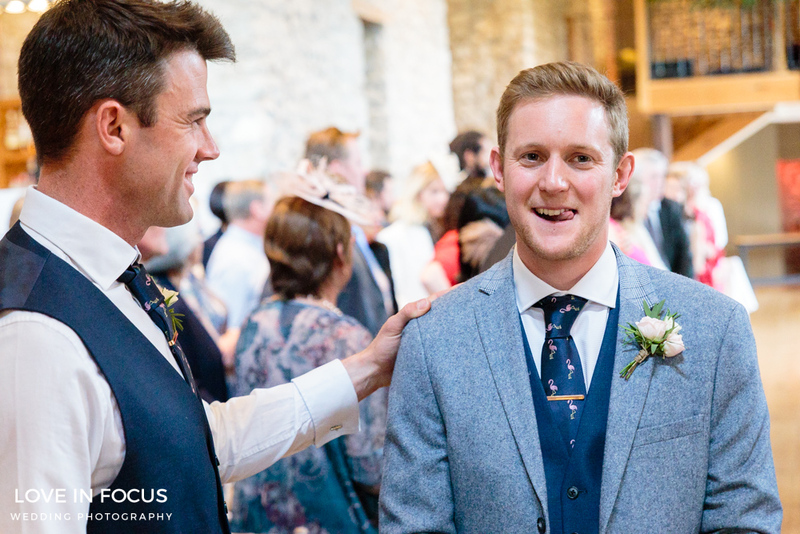 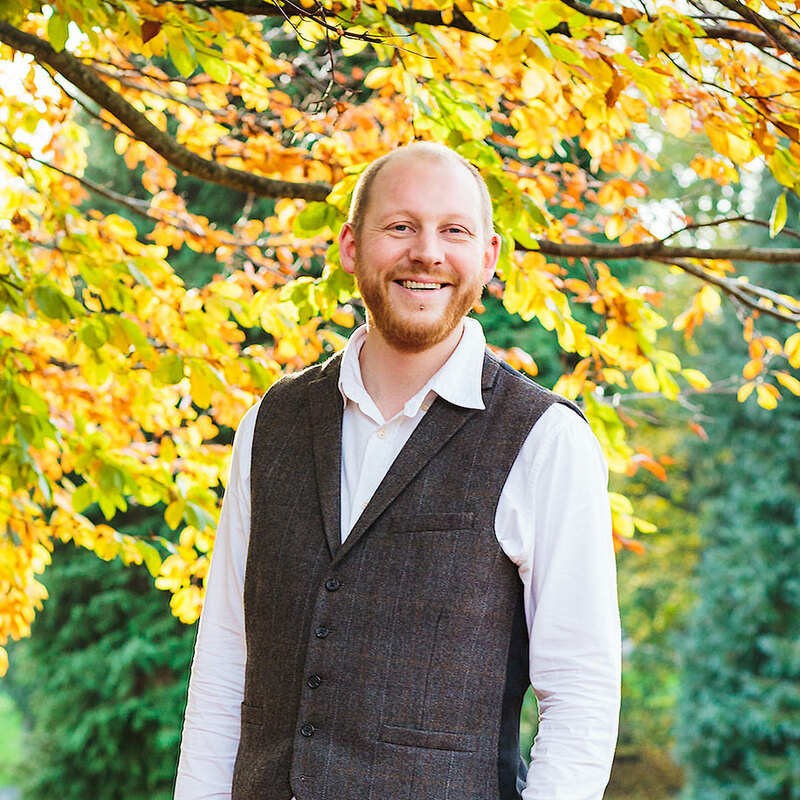 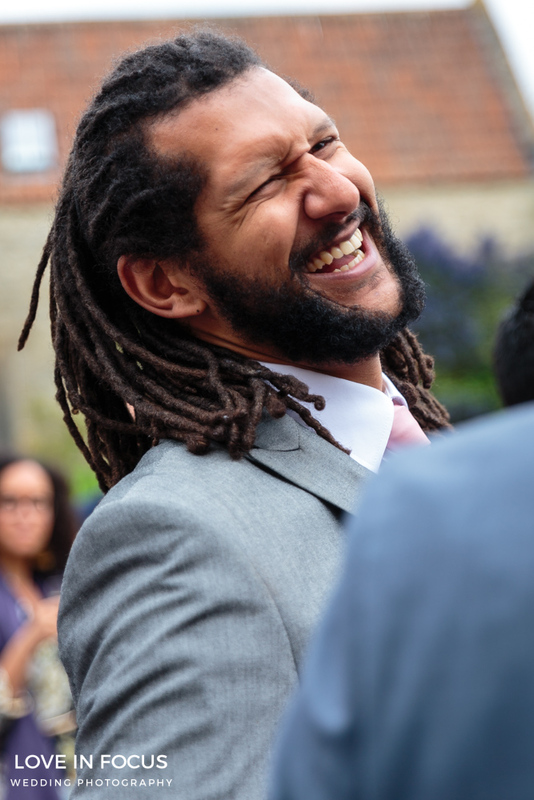 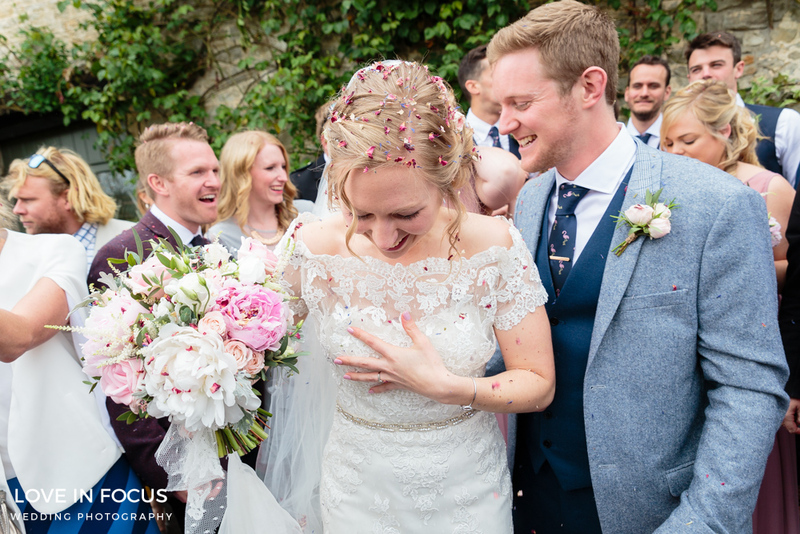 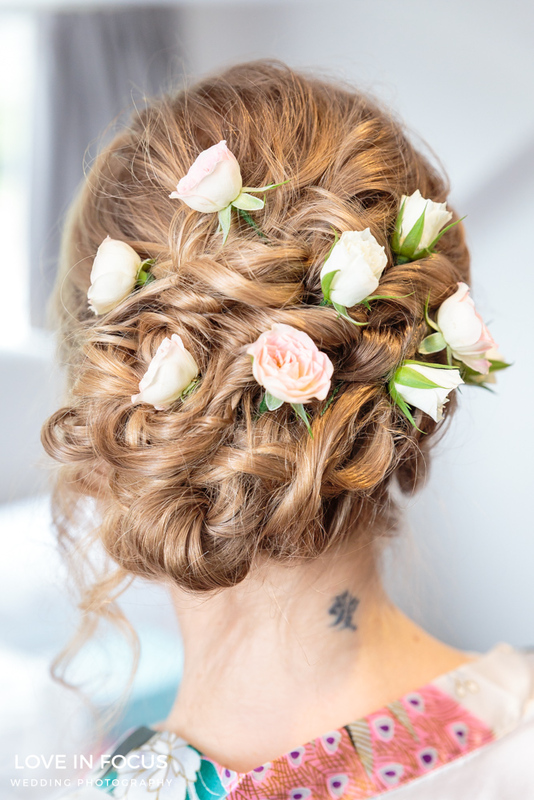 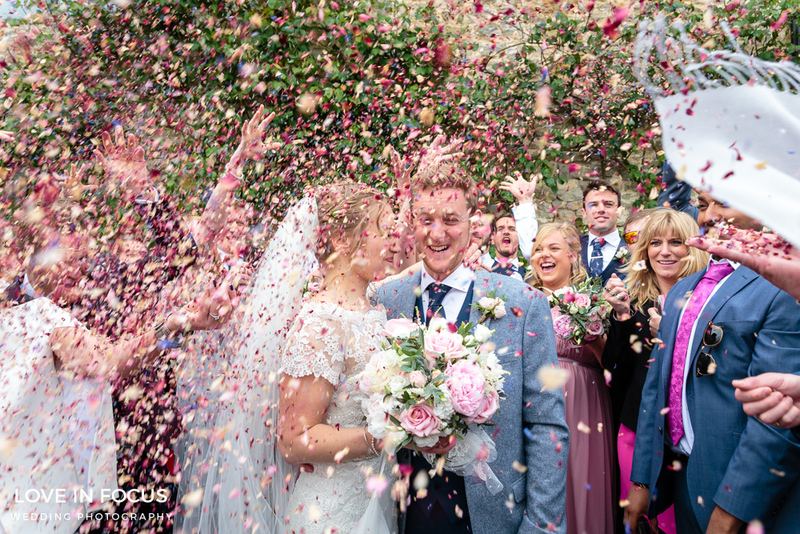 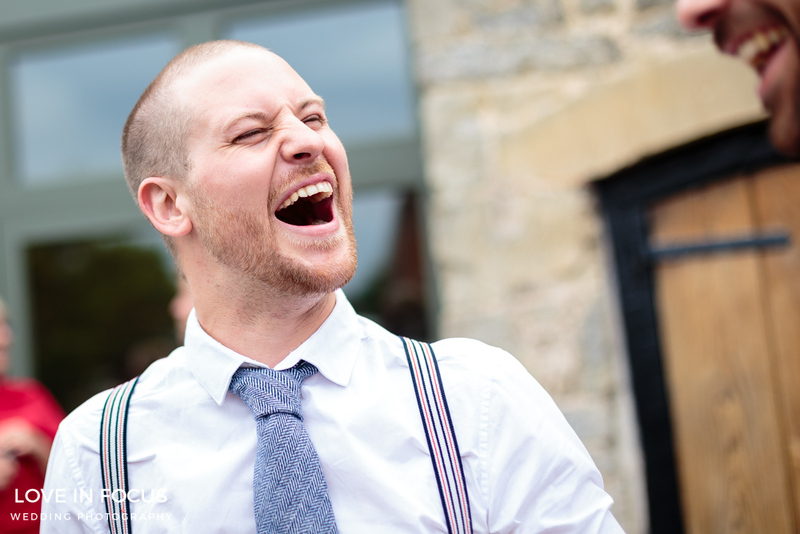 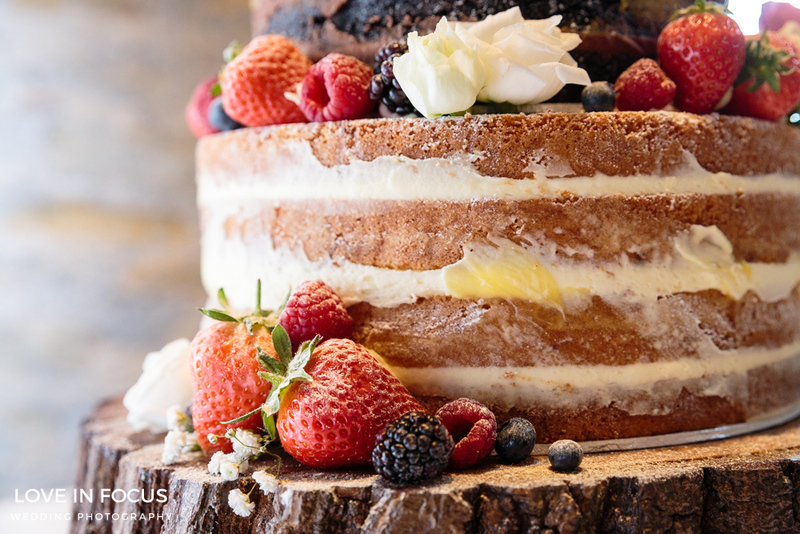 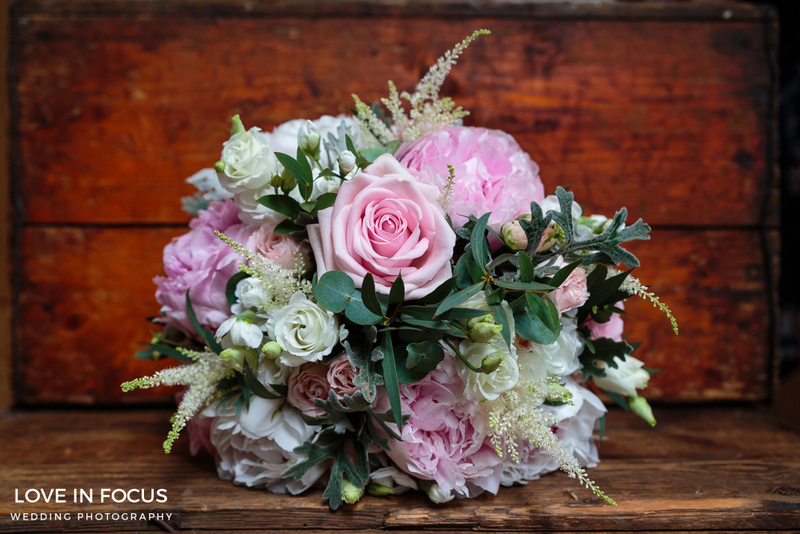 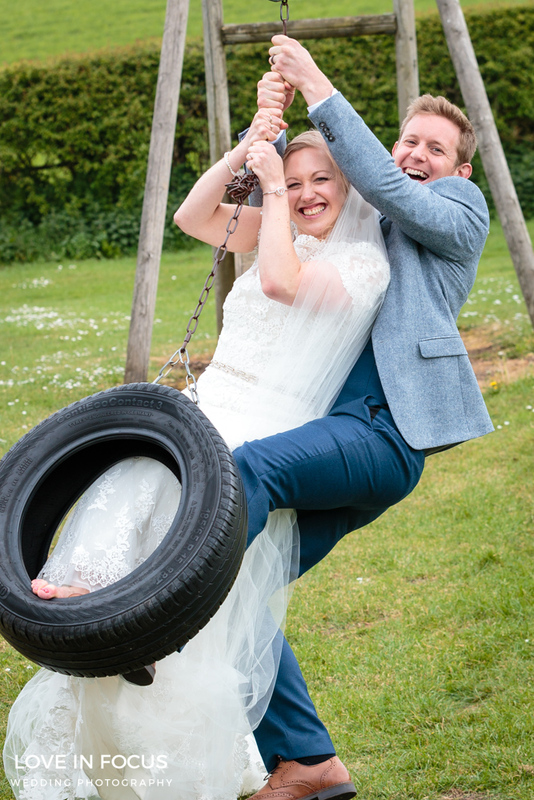 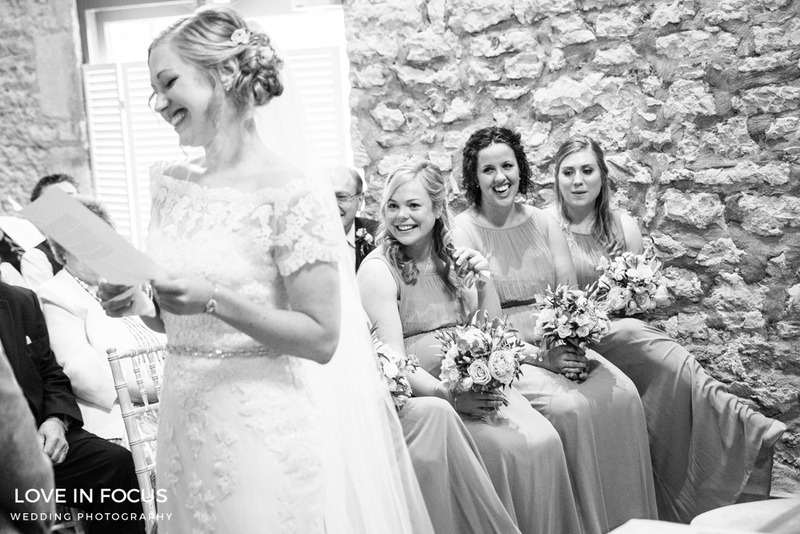 One that you, your family and friends and this Bath wedding photographer will always remember fondly.